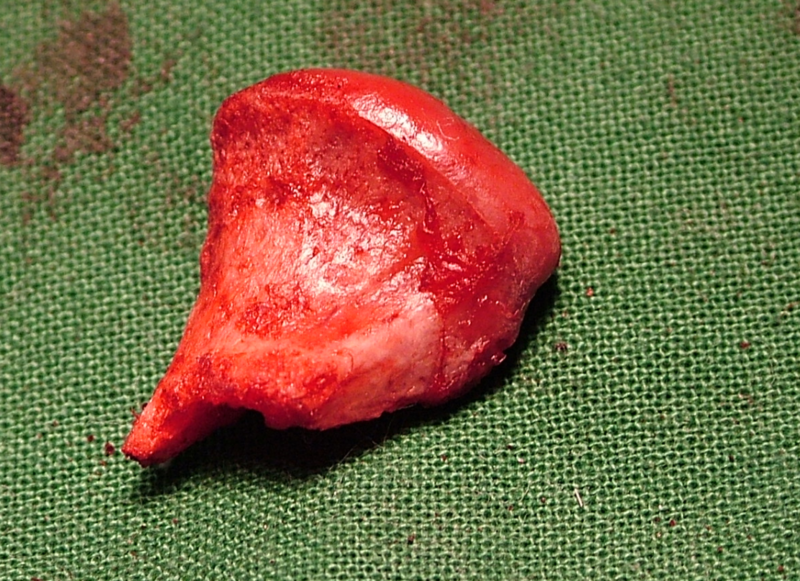 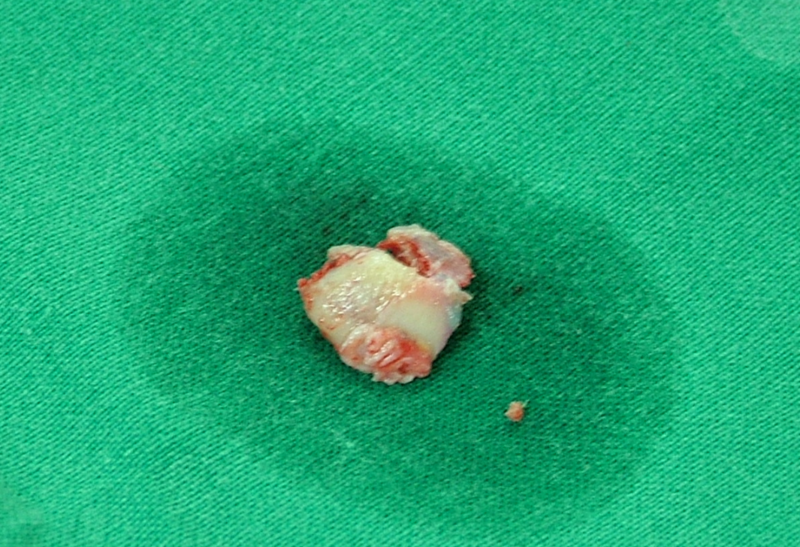 Impacted third molar leading to dentigerous cyst. 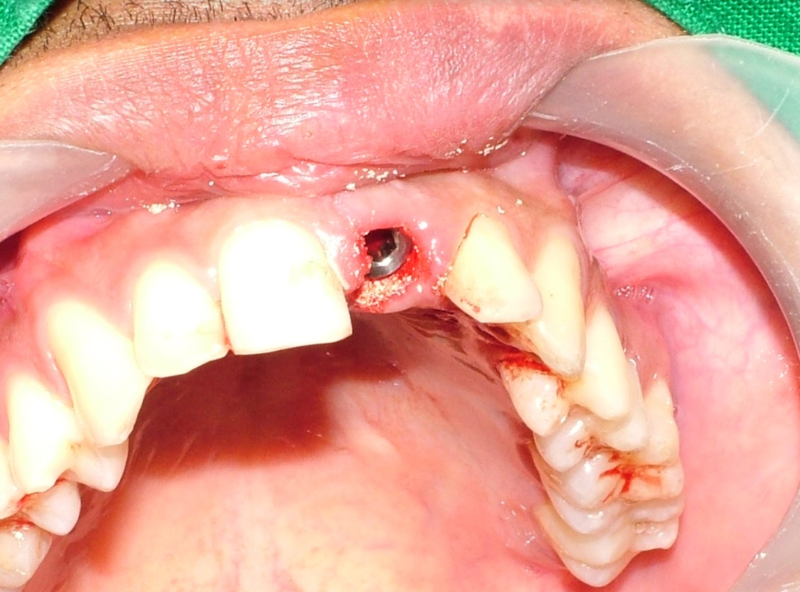 Surgical removal under general anesthesia. 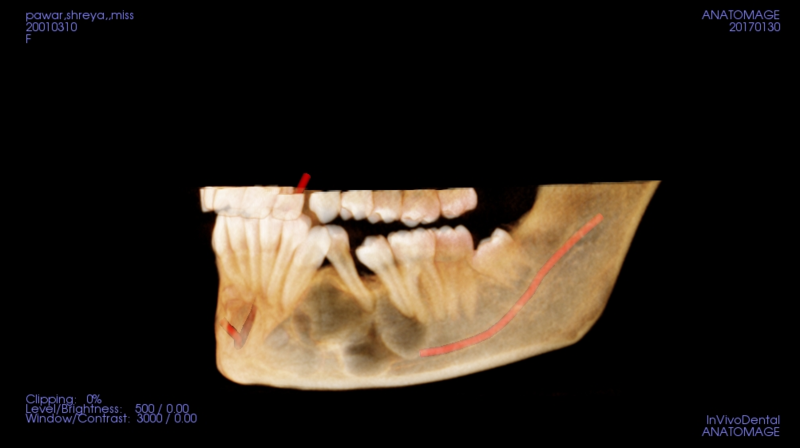 Third molar impaction surgical extraction done under general anesthesia. 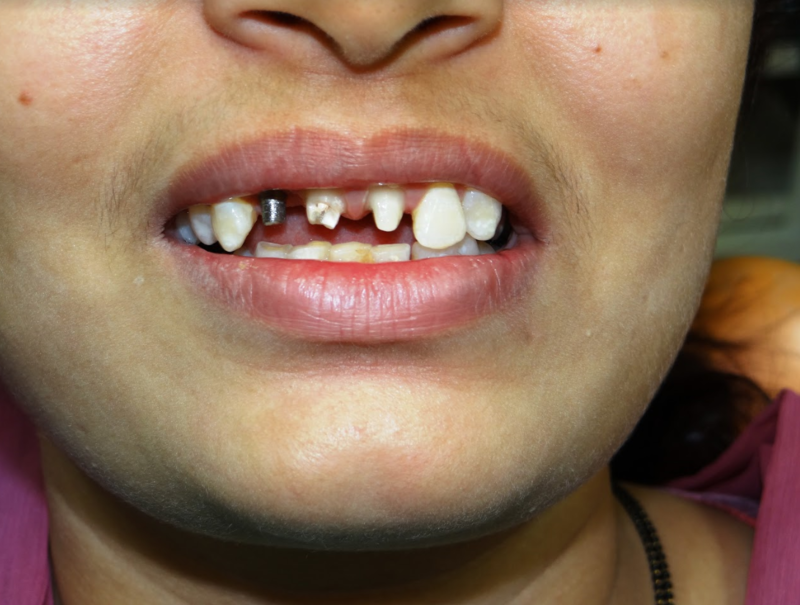 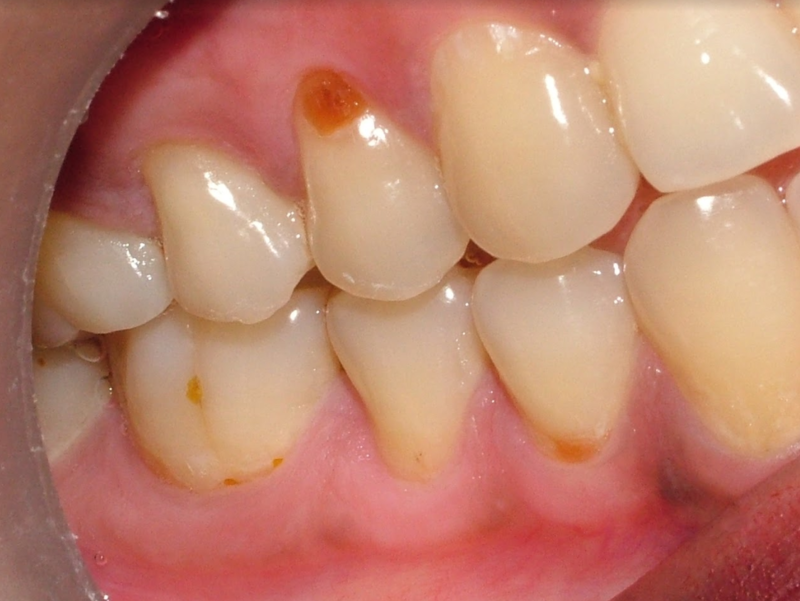 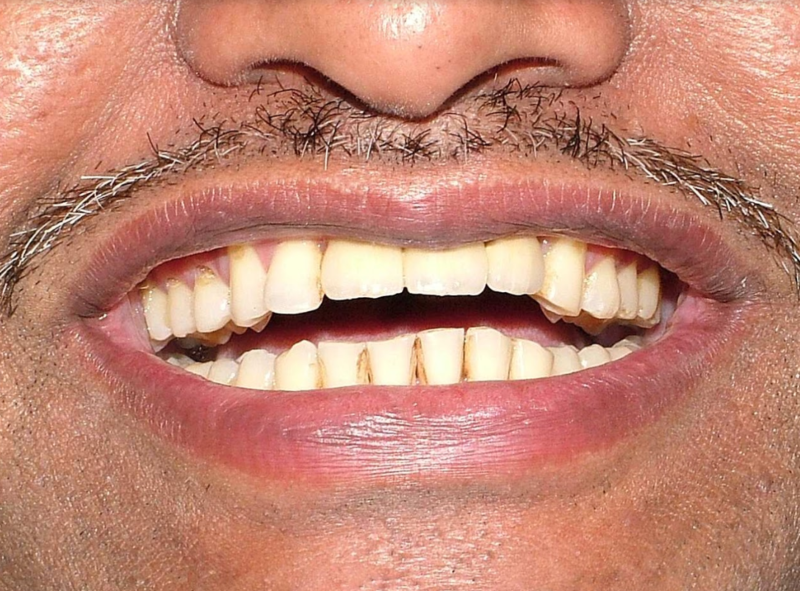 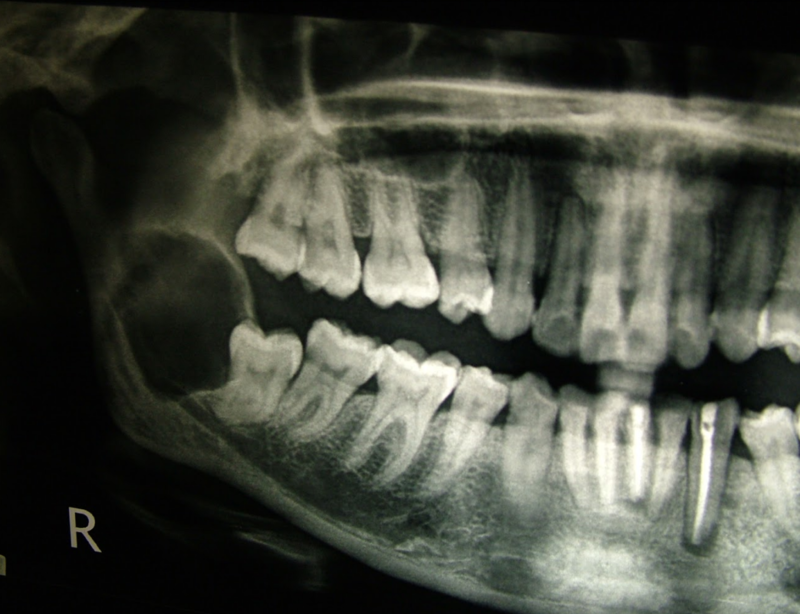 Deep, horizontal and decayed Third molars with divergent roots. 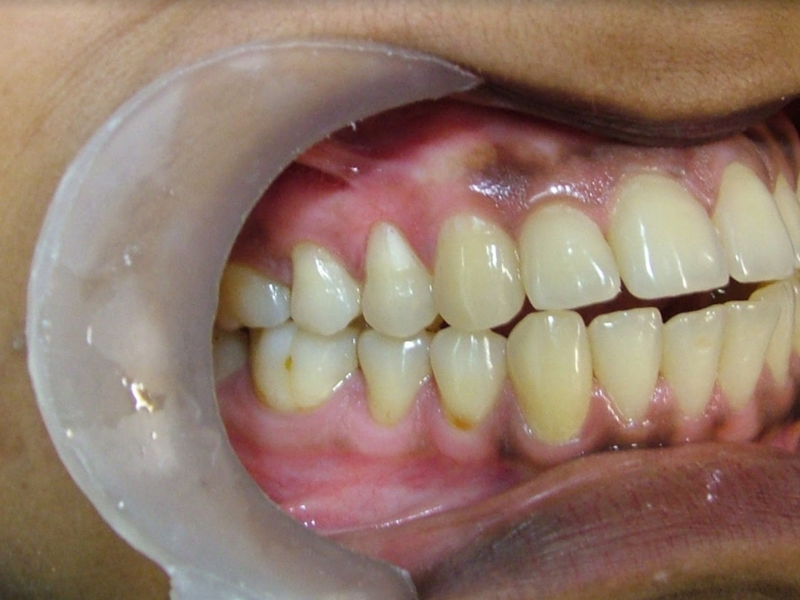 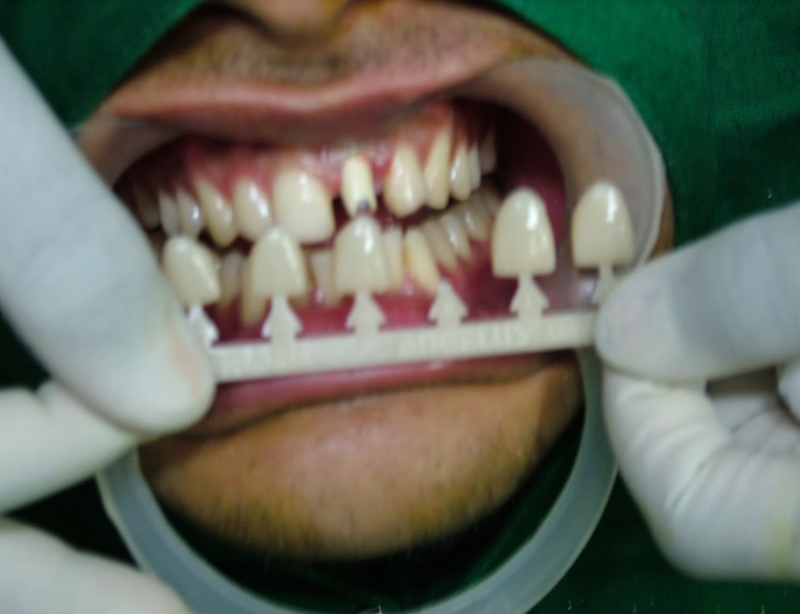 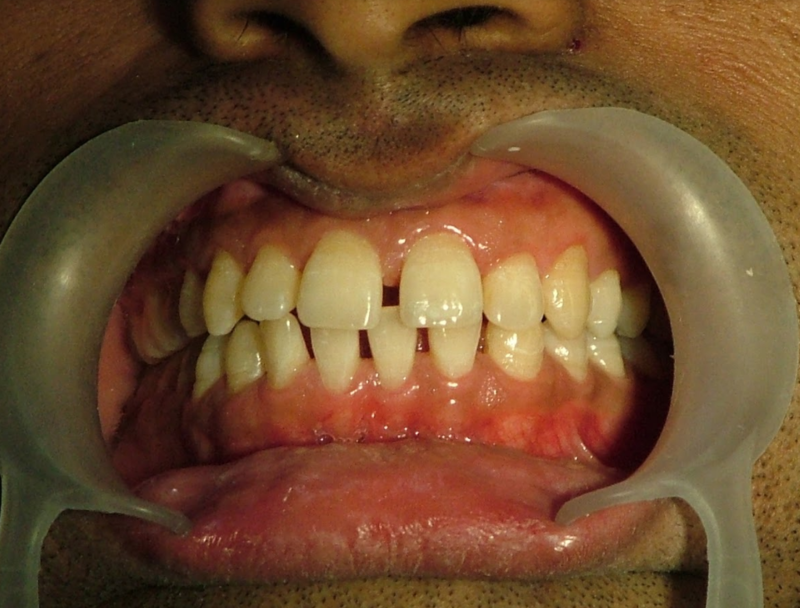 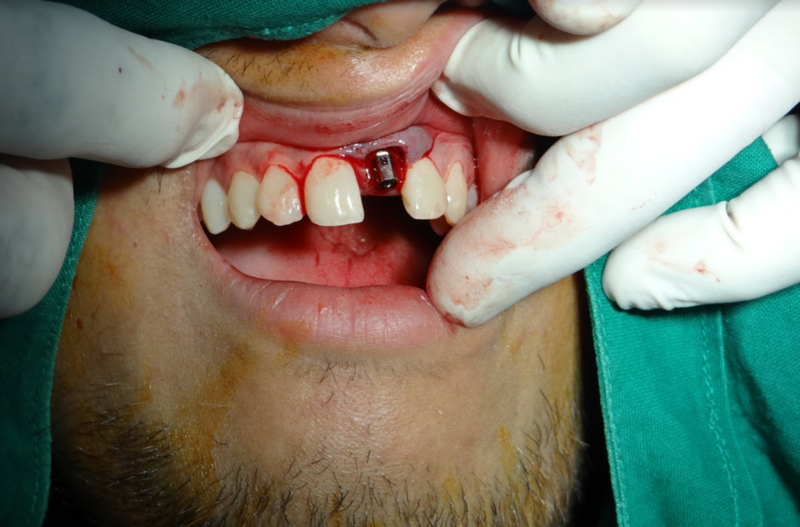 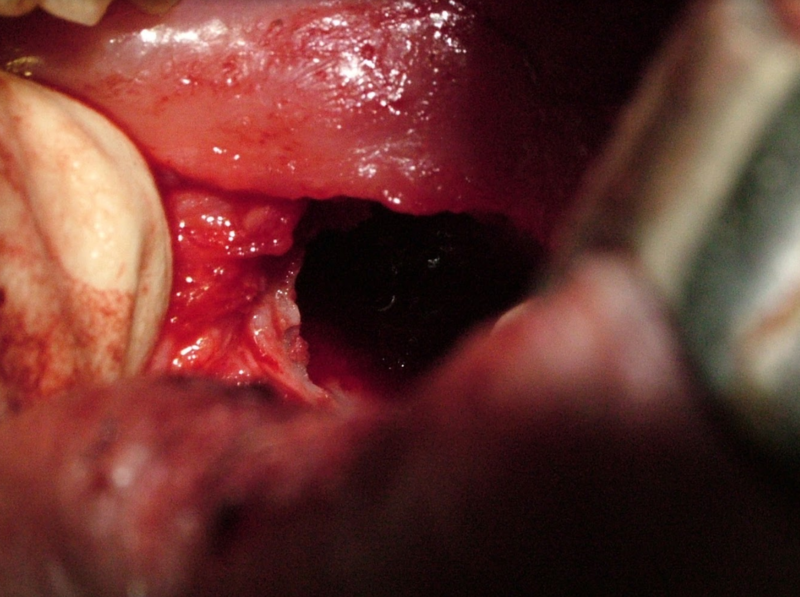 Surgical extraction carried out under general anesthesia. 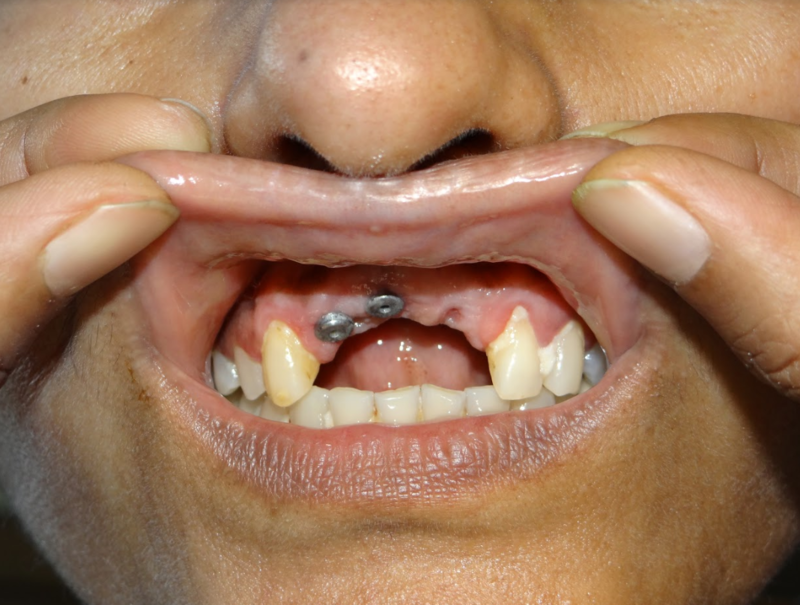 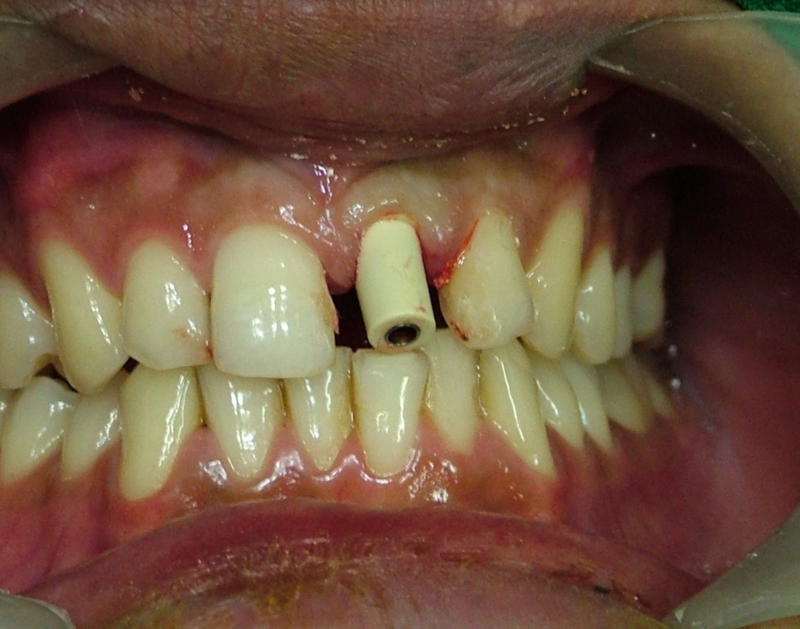 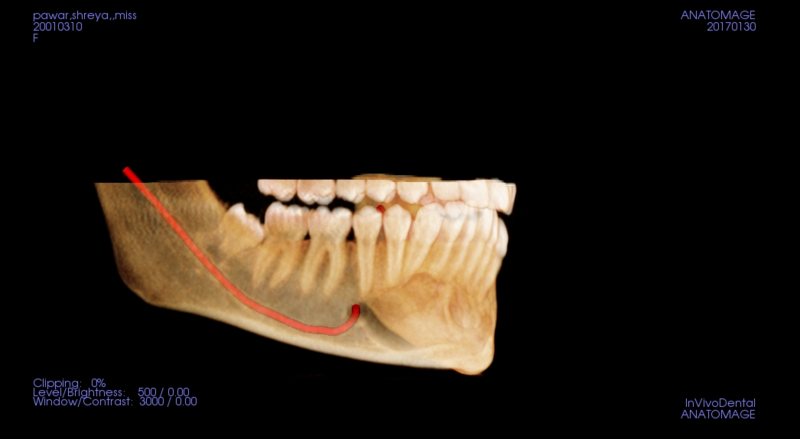 Second and Third molar impaction involving the nerve. 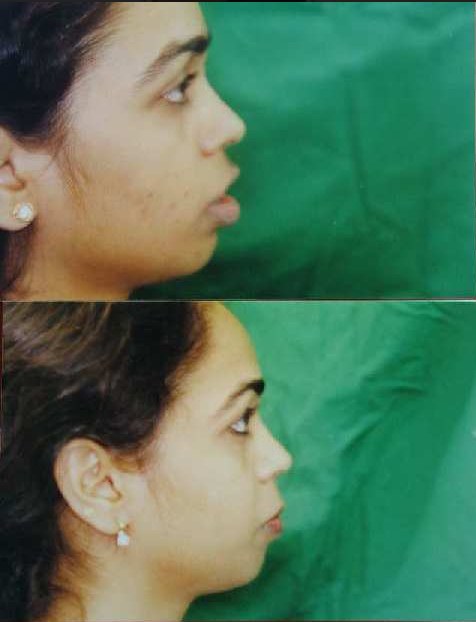 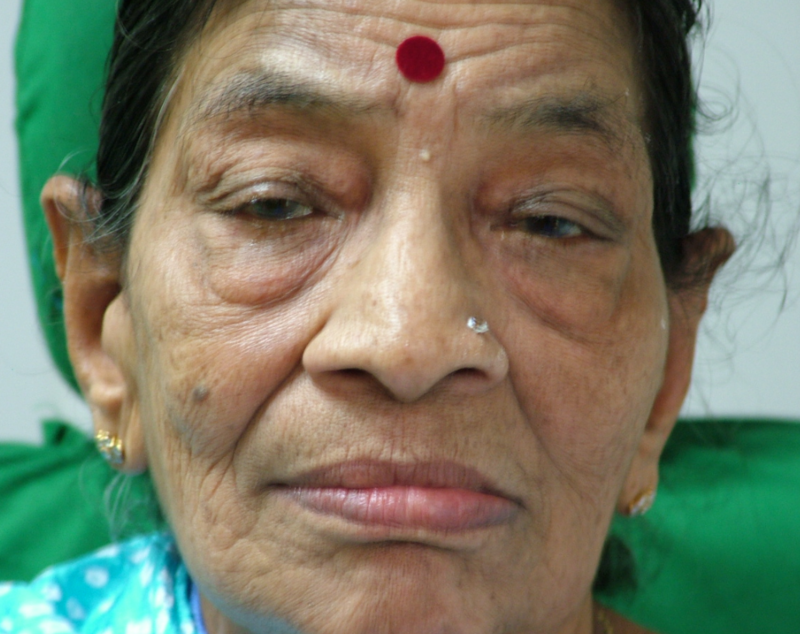 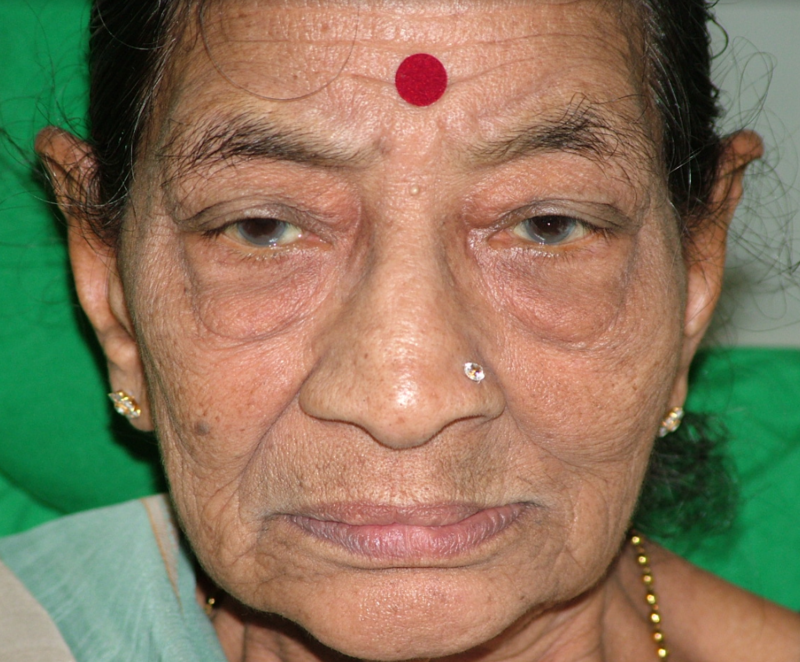 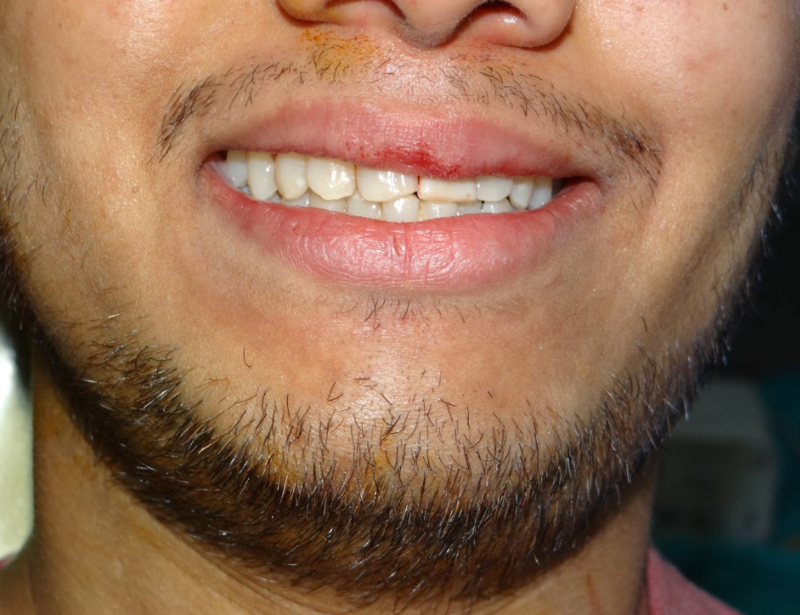 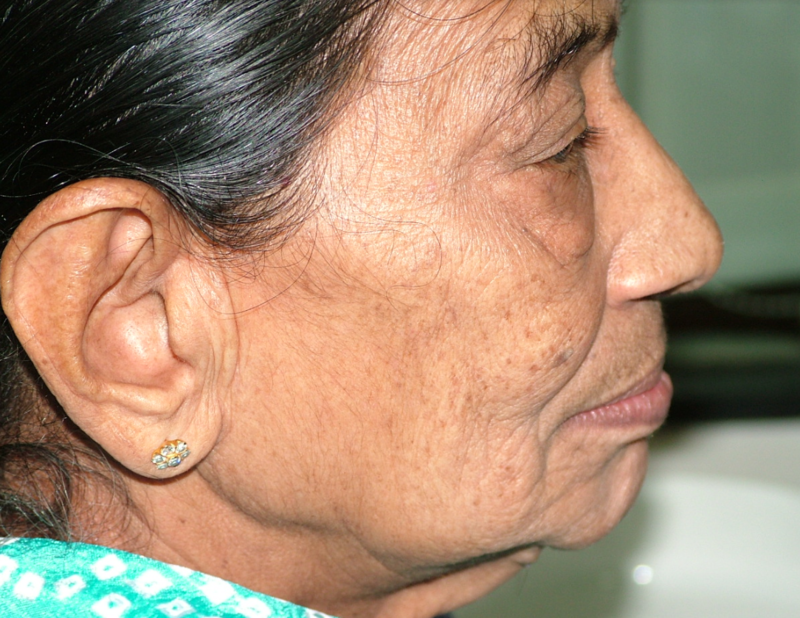 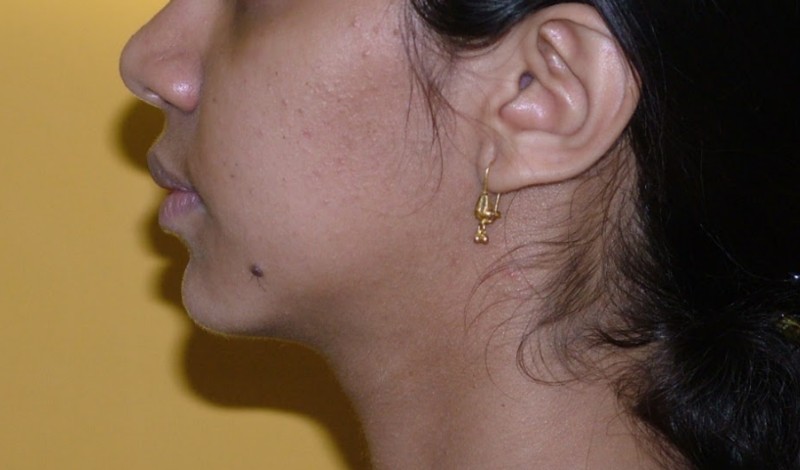 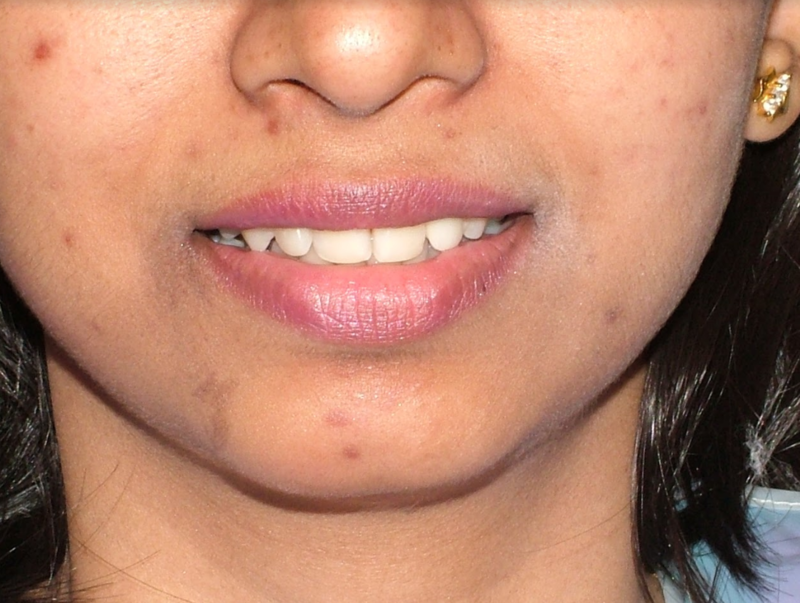 27 yr old female patient with external swelling on left face. 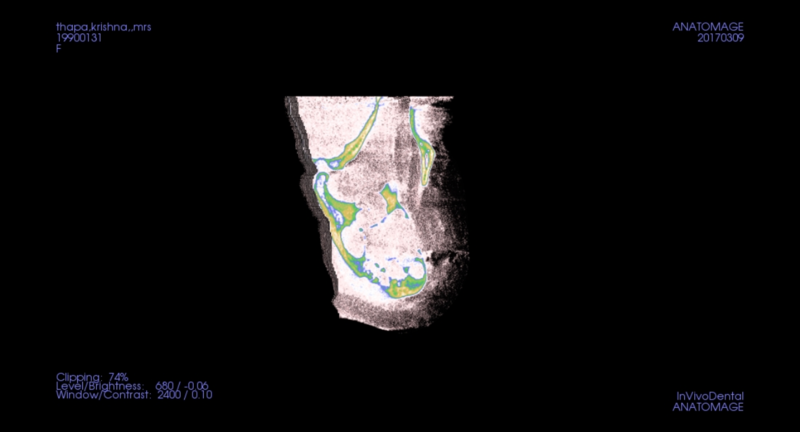 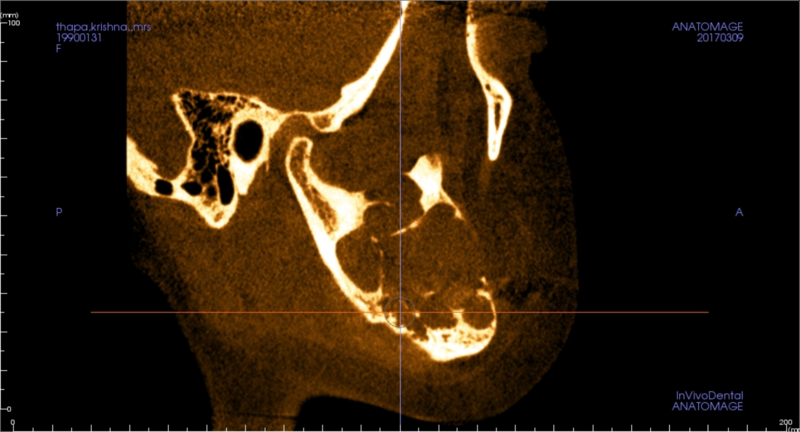 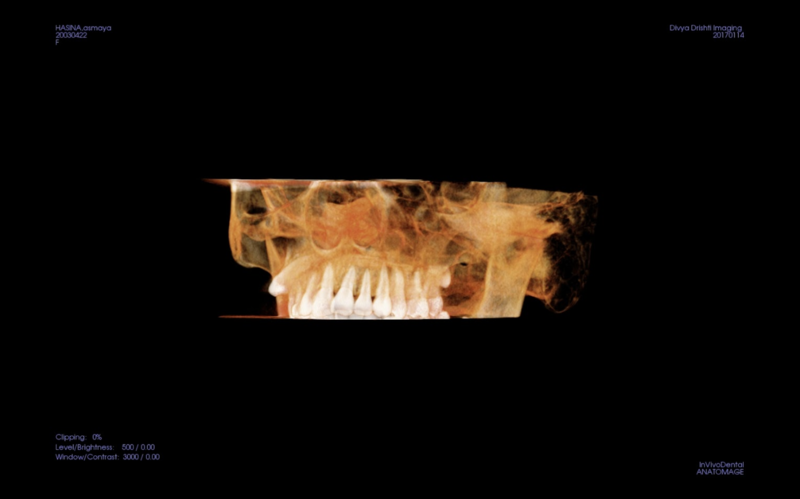 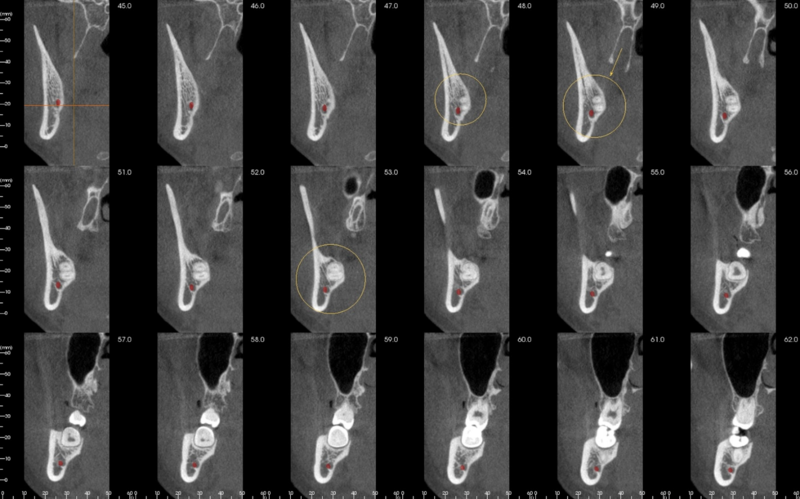 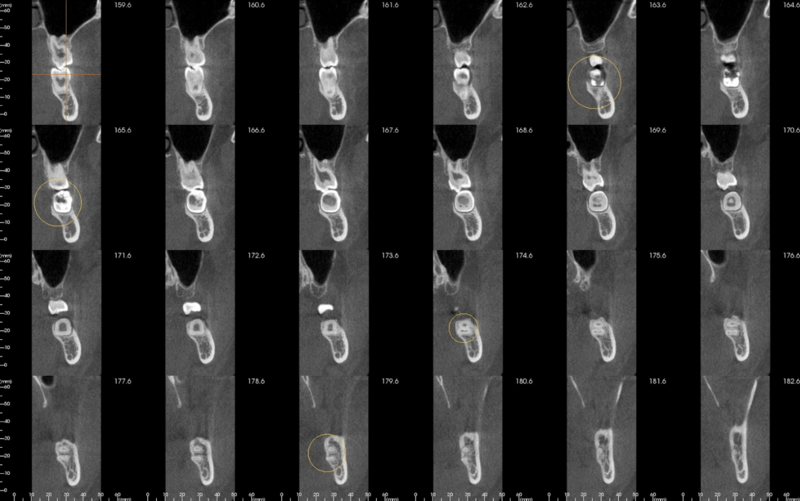 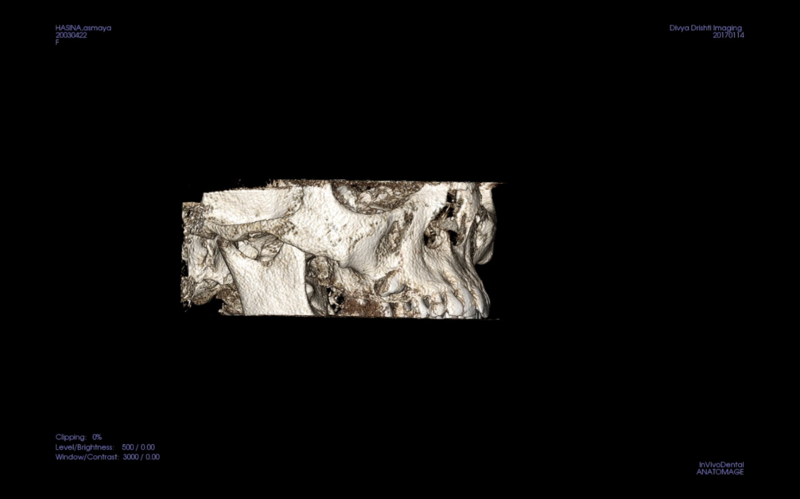 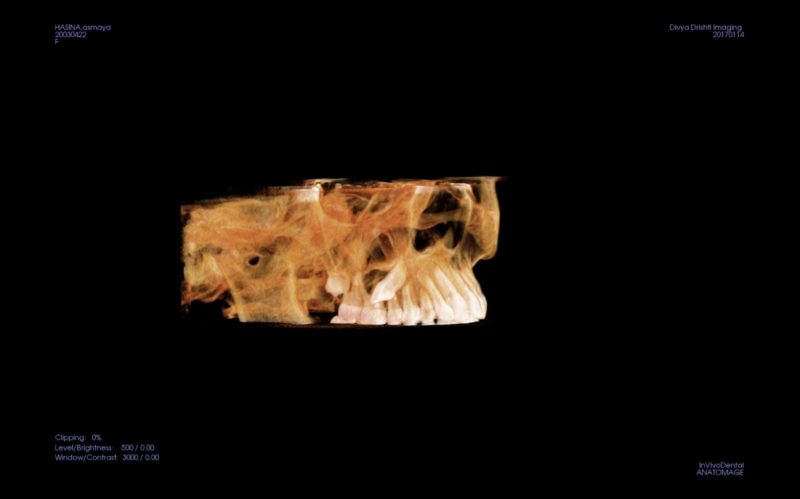 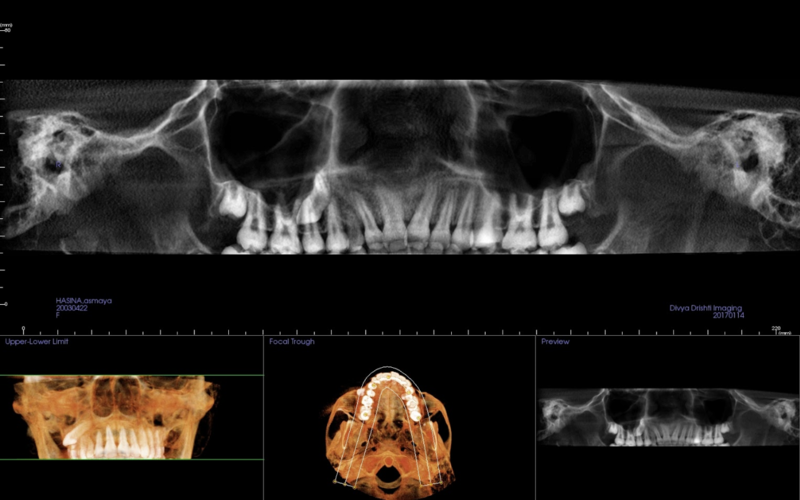 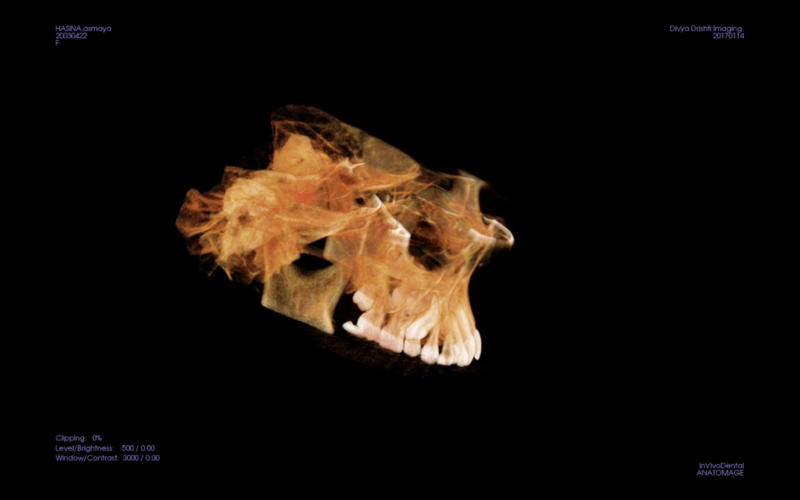 CBCT images show a multilocular tumor. 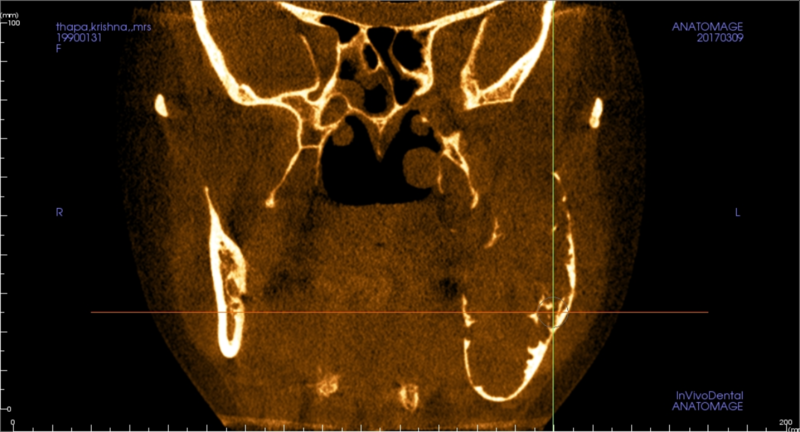 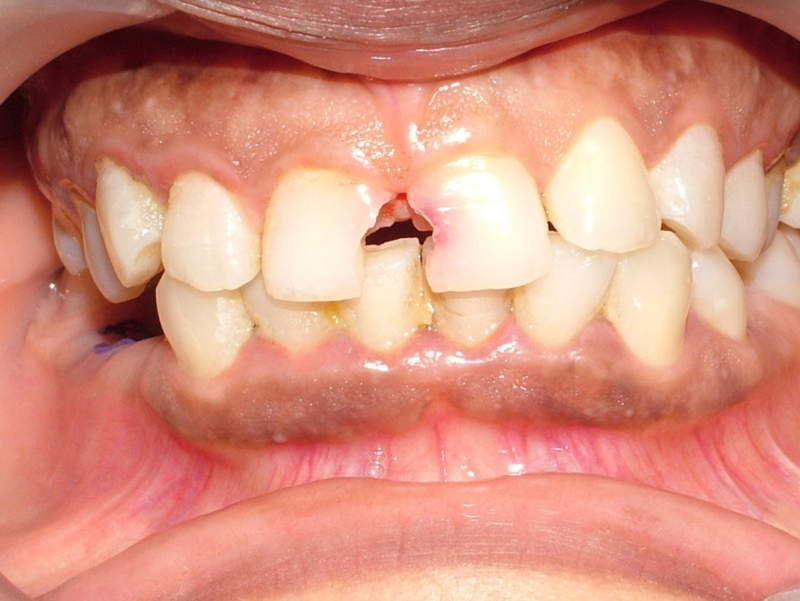 Biopsy confirmed as multilocular ameloblastoma. 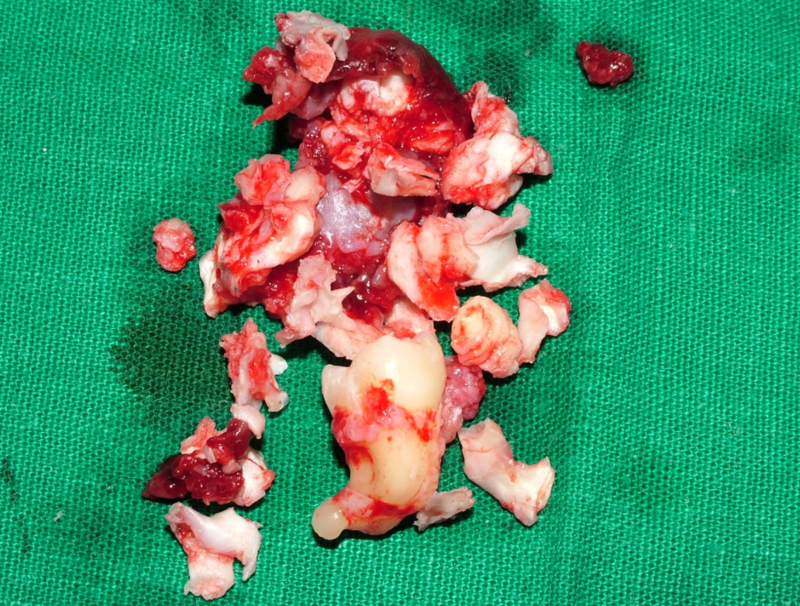 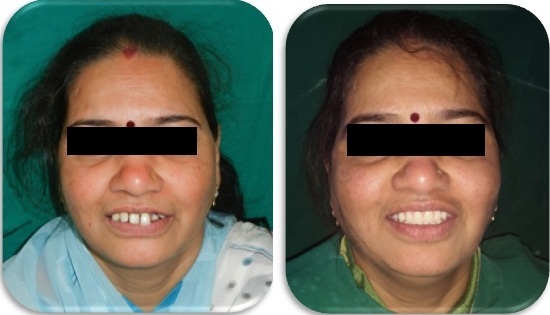 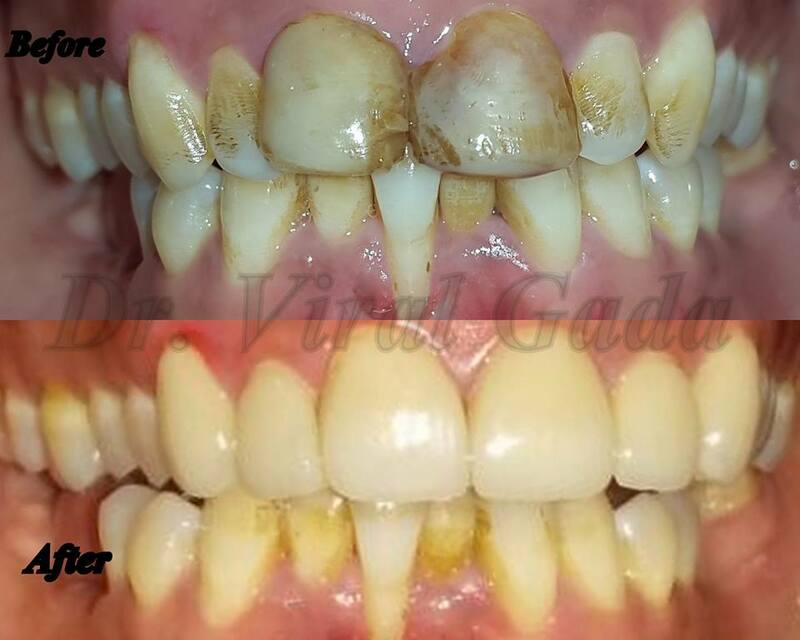 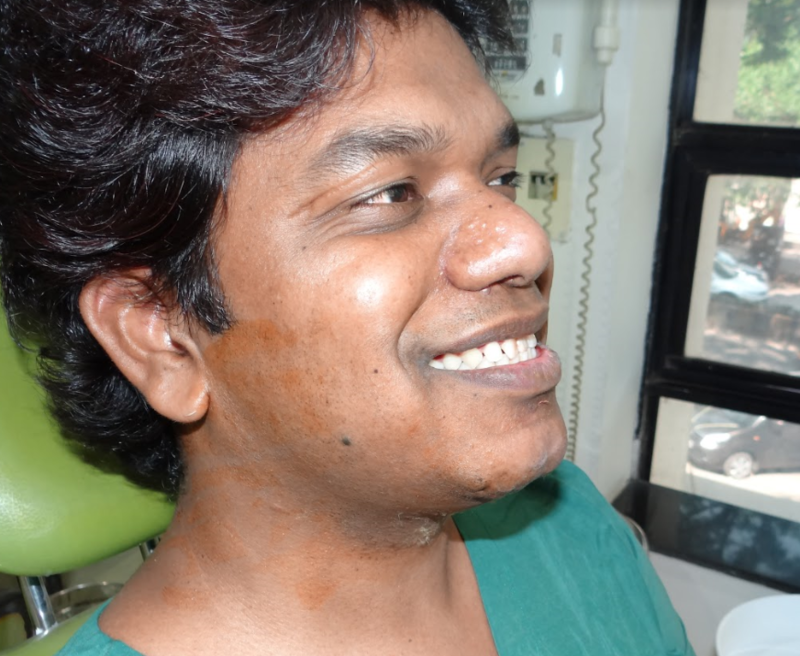 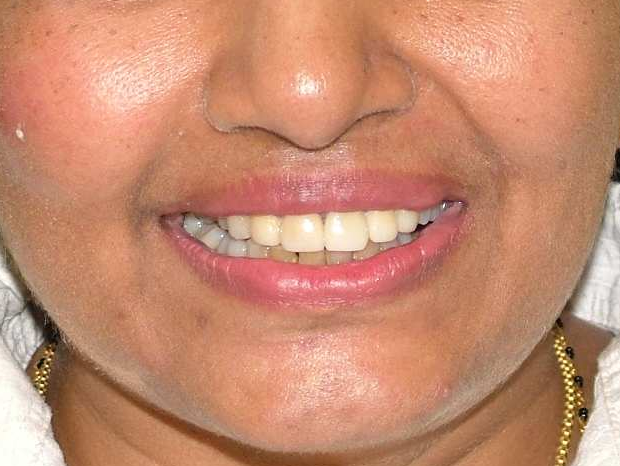 Patient advised removal of the affected part of bone and reconstructive surgery with a bone graft. 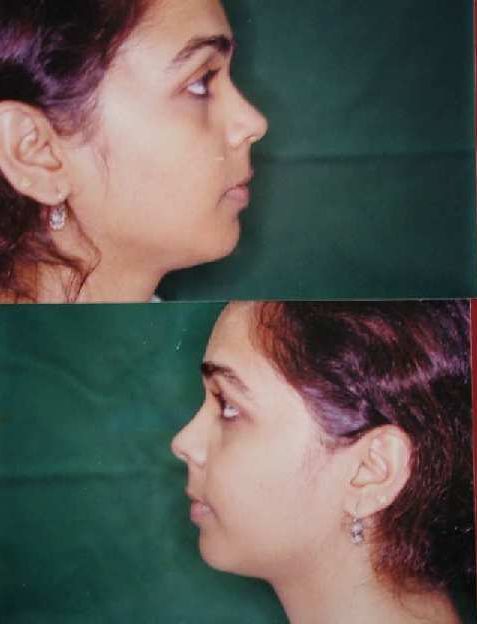 Female patient 17 yrs. 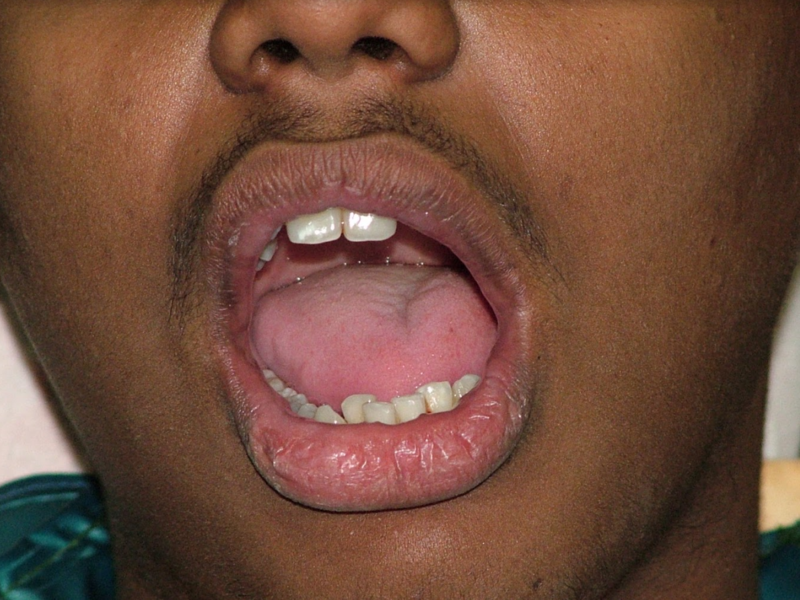 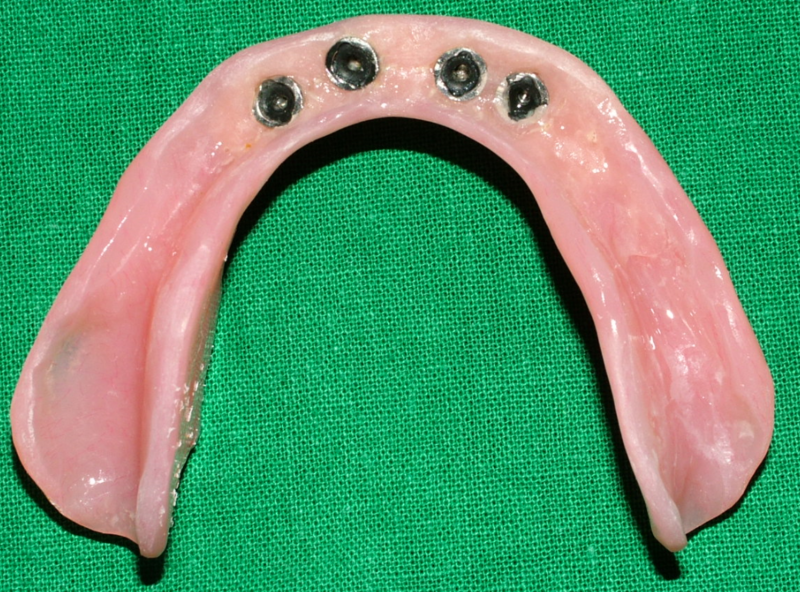 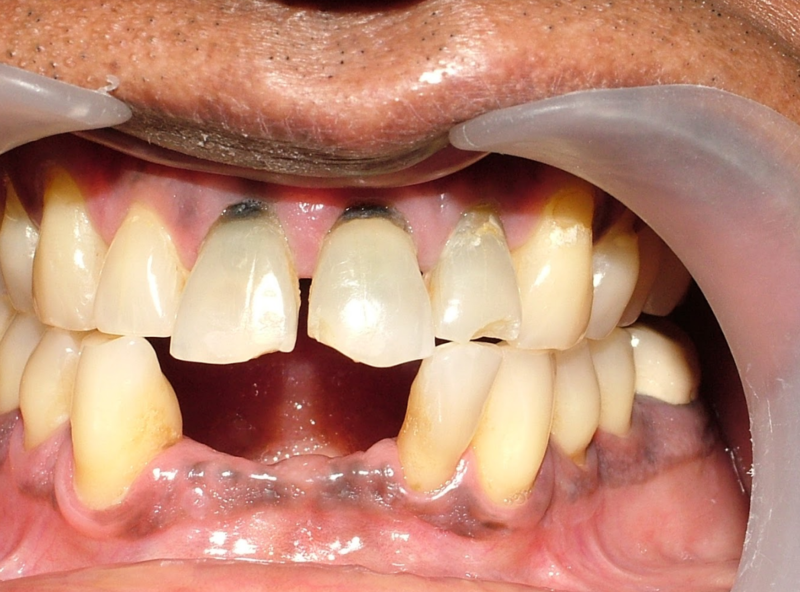 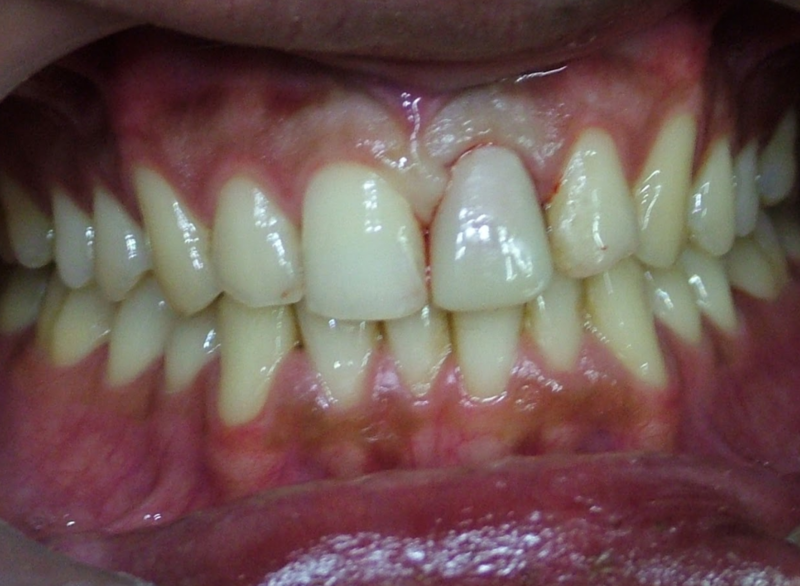 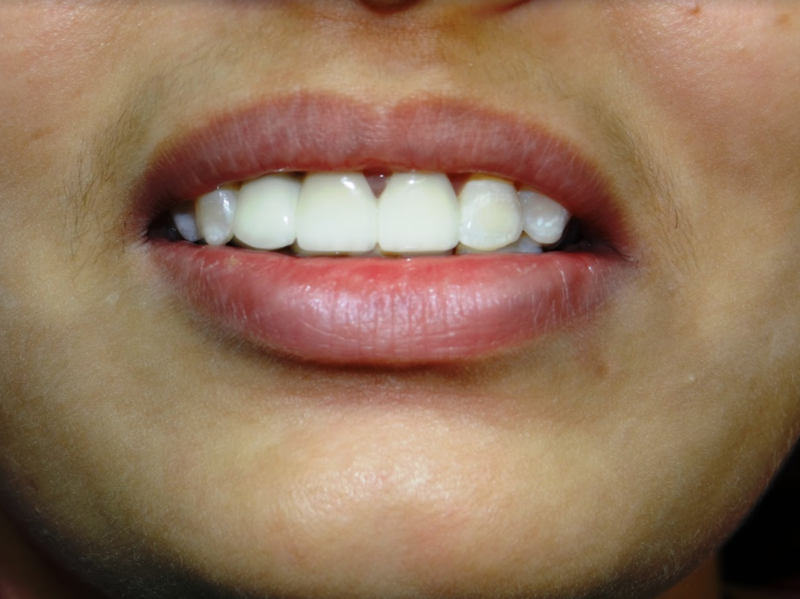 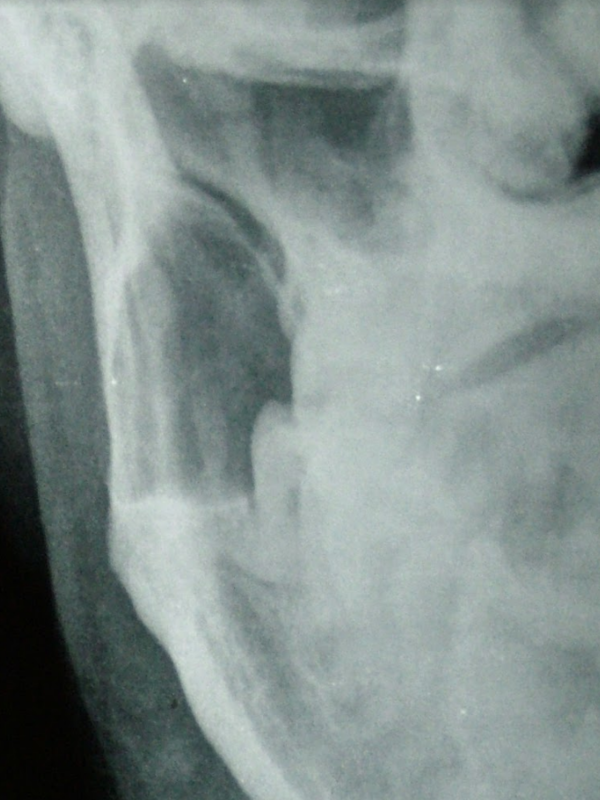 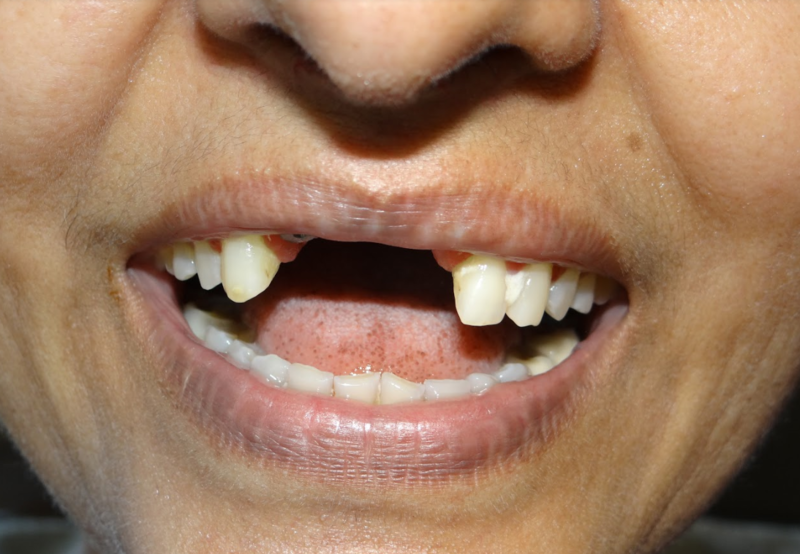 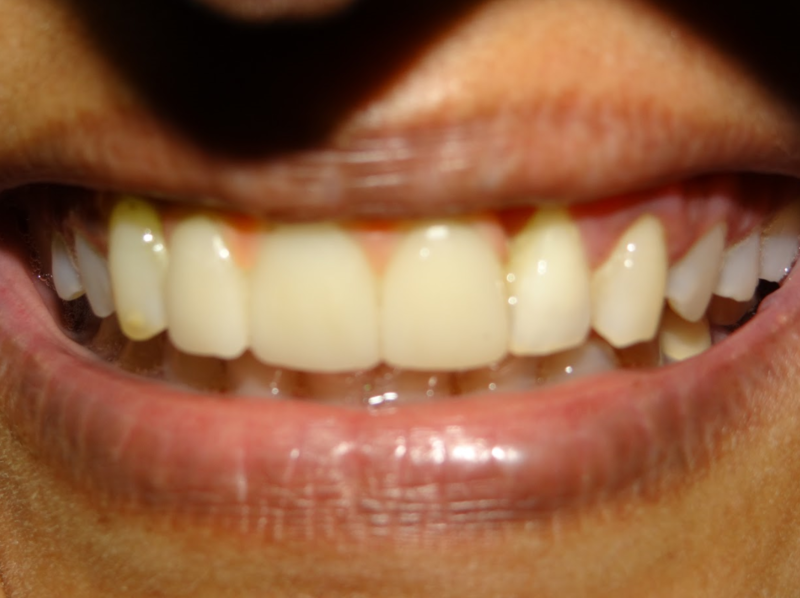 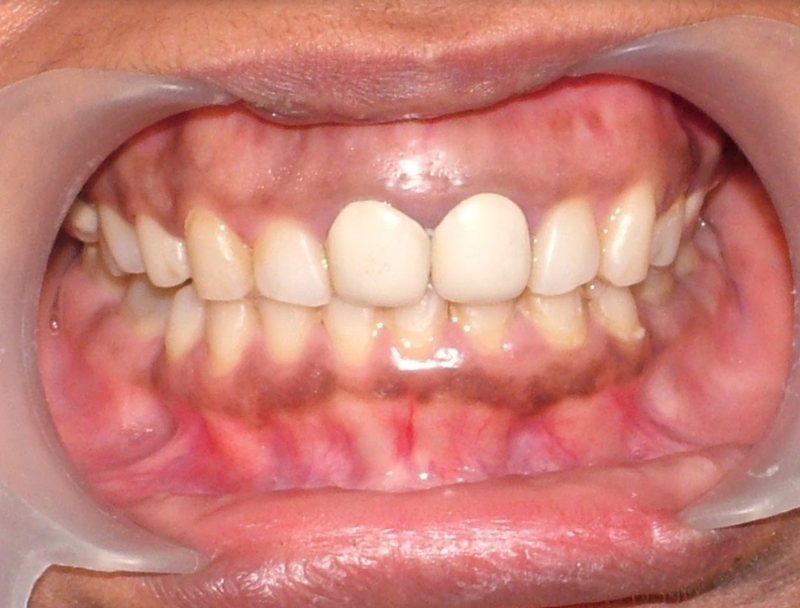 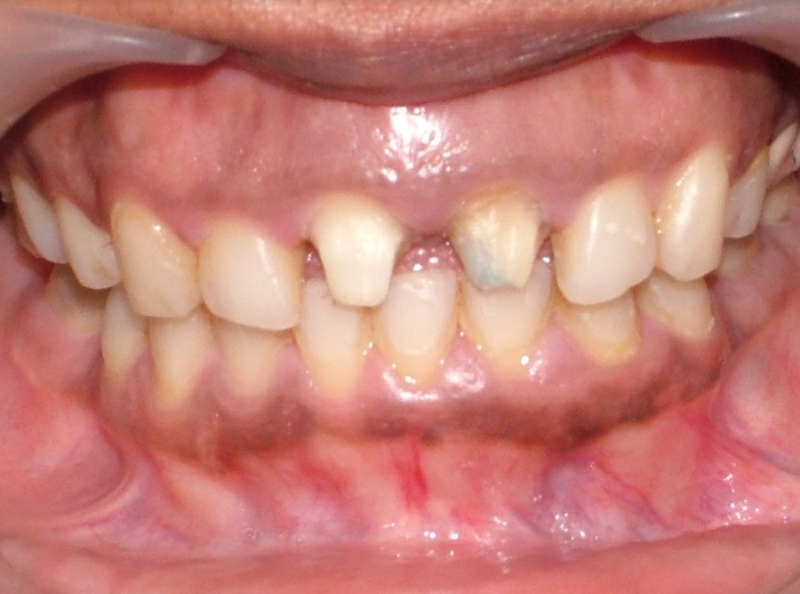 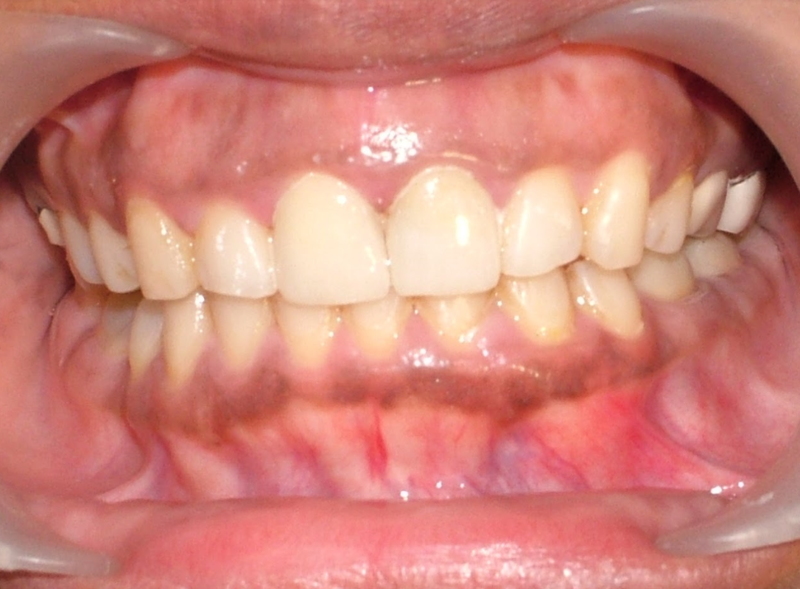 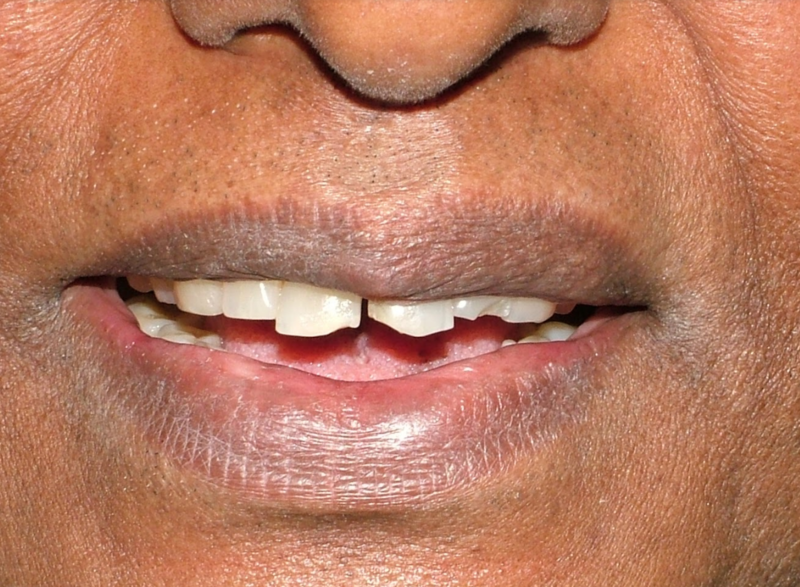 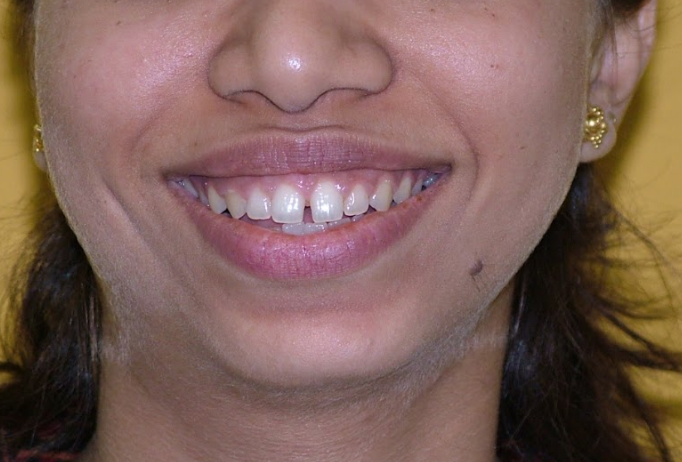 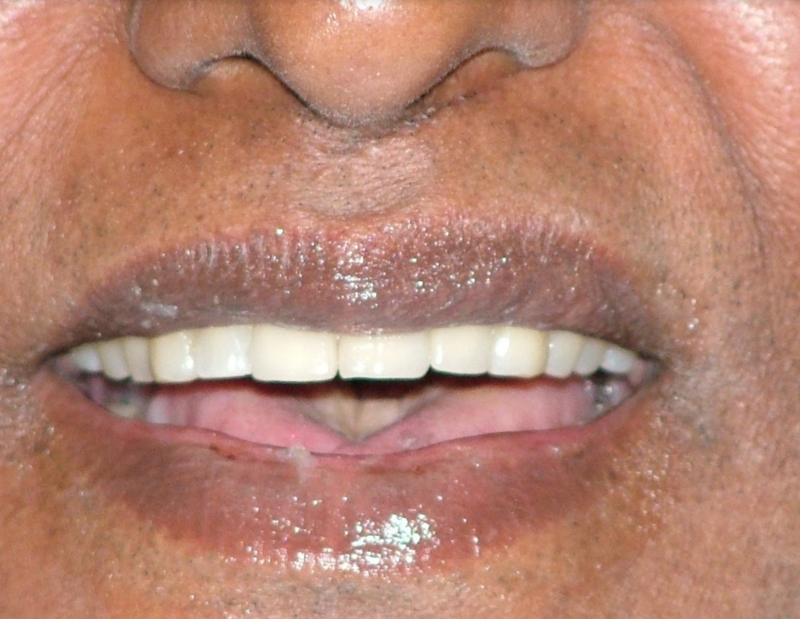 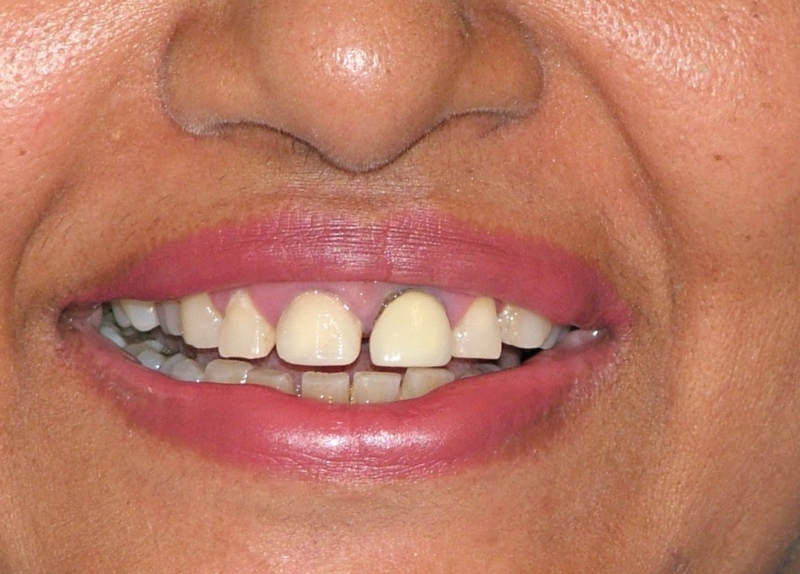 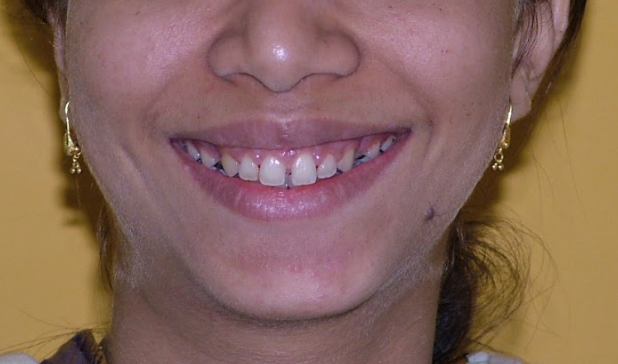 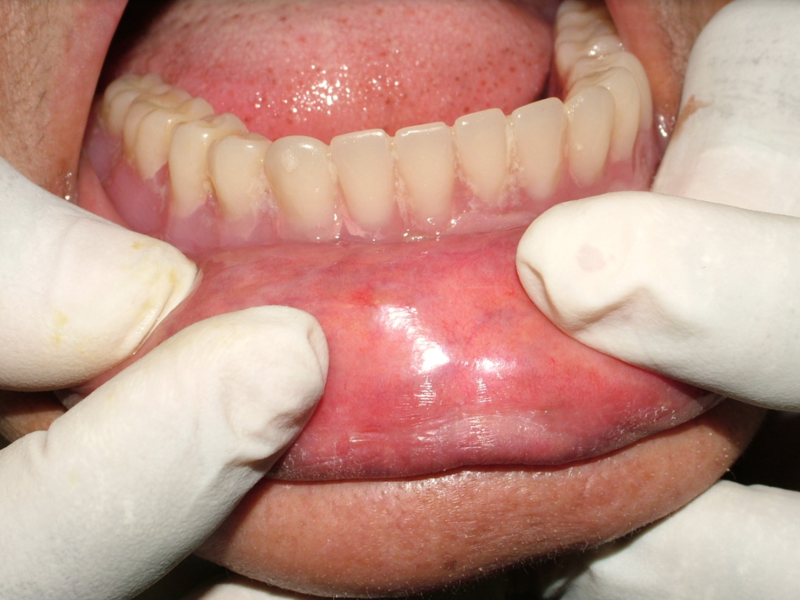 Canine impaction in upper right region the root is curved and very long. 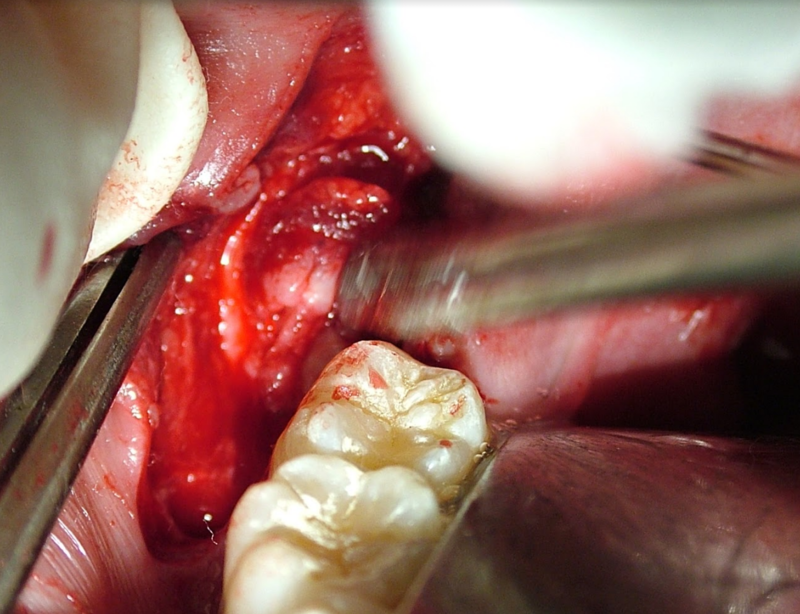 Surgical removal under general anesthesia. 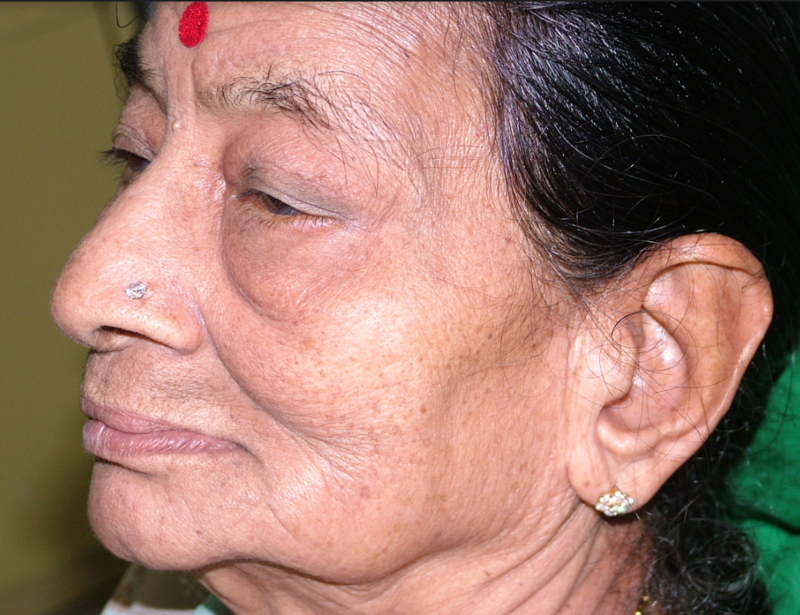 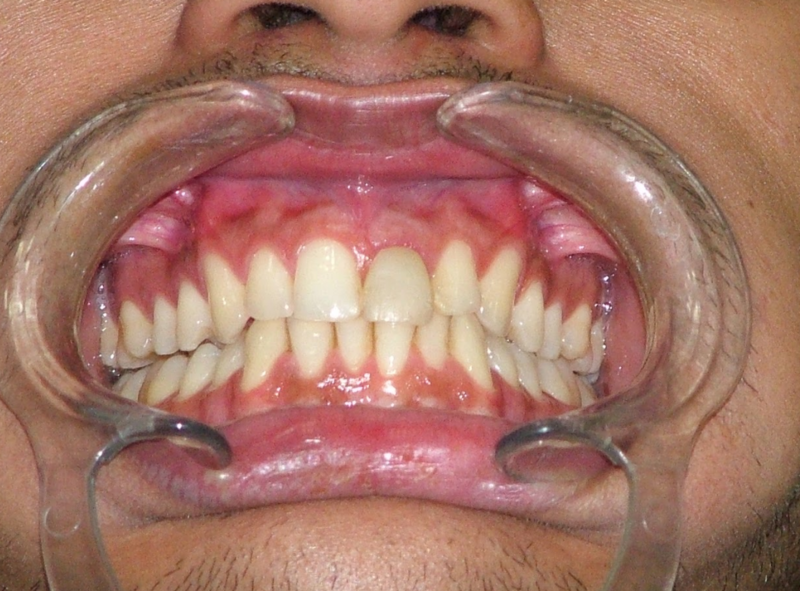 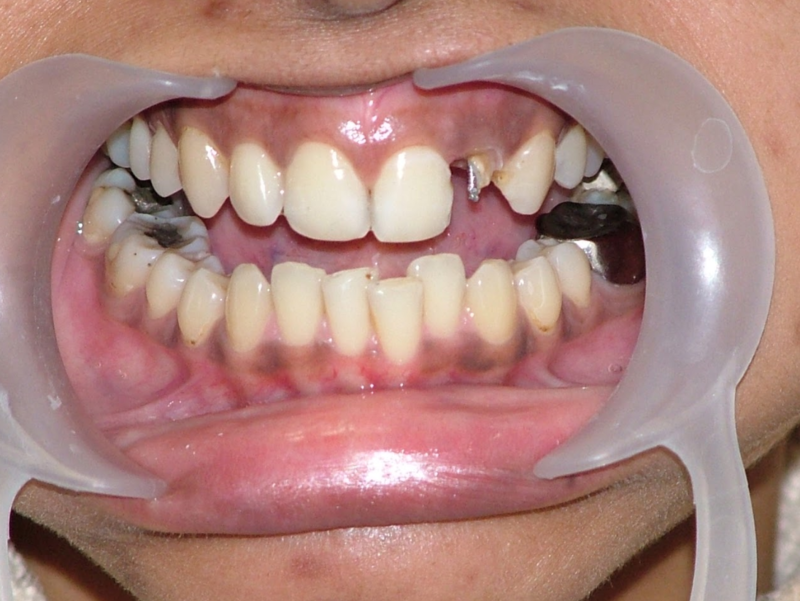 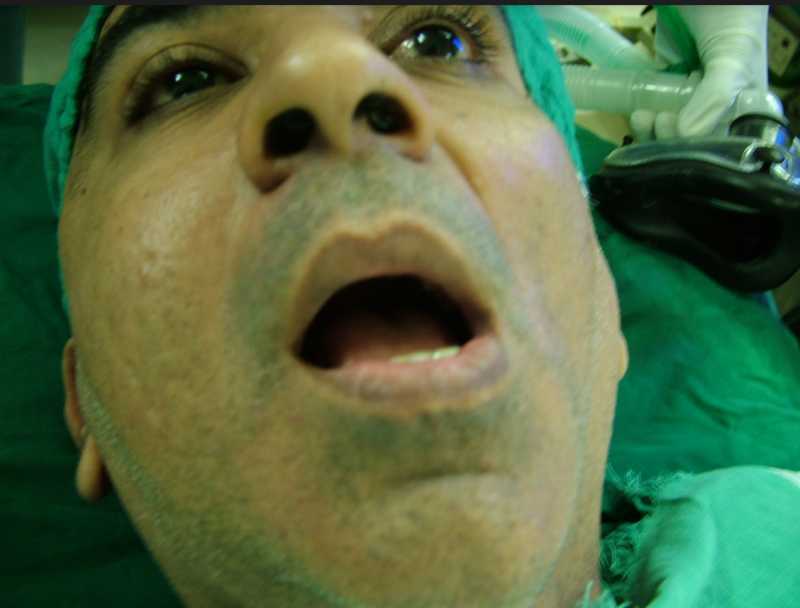 Patient came with history of dropping of jaw on even rest position . 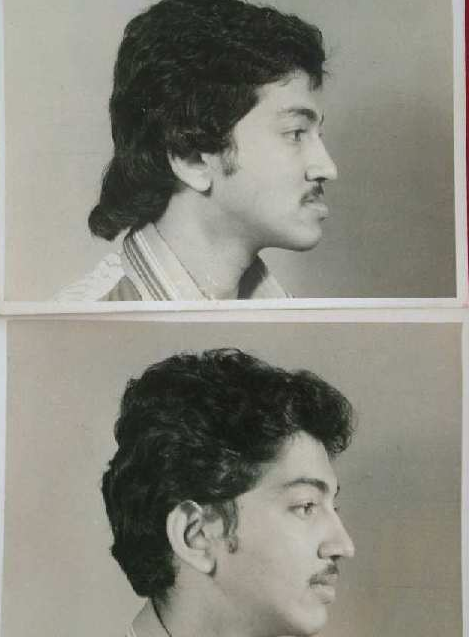 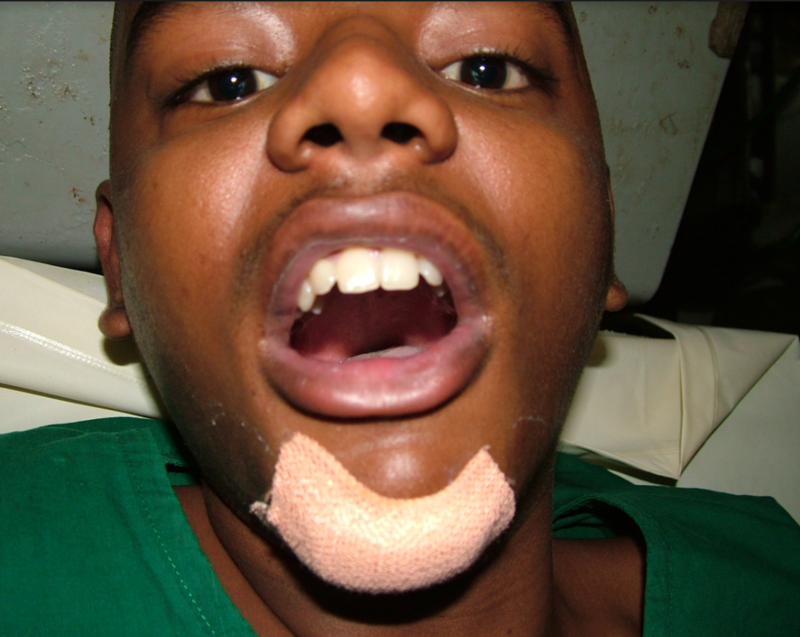 he came with a belt around his jaw anchored with his head (pic 1) . 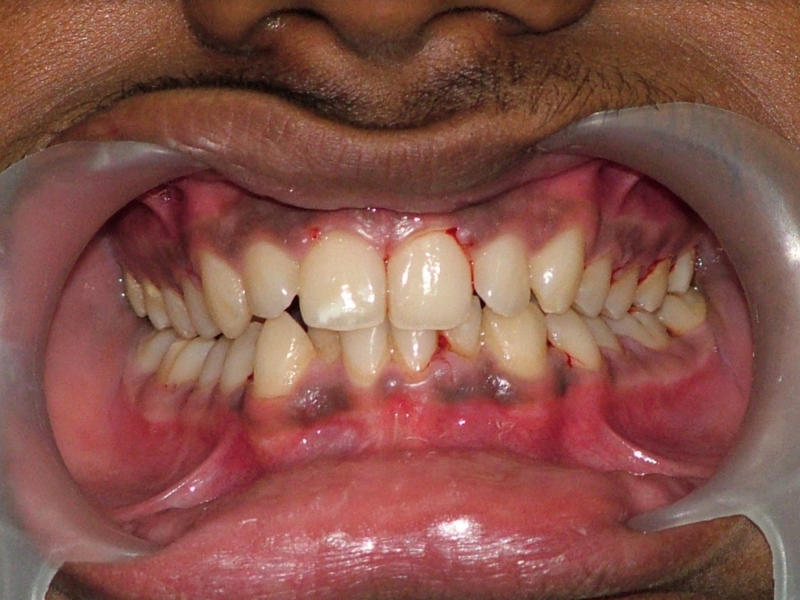 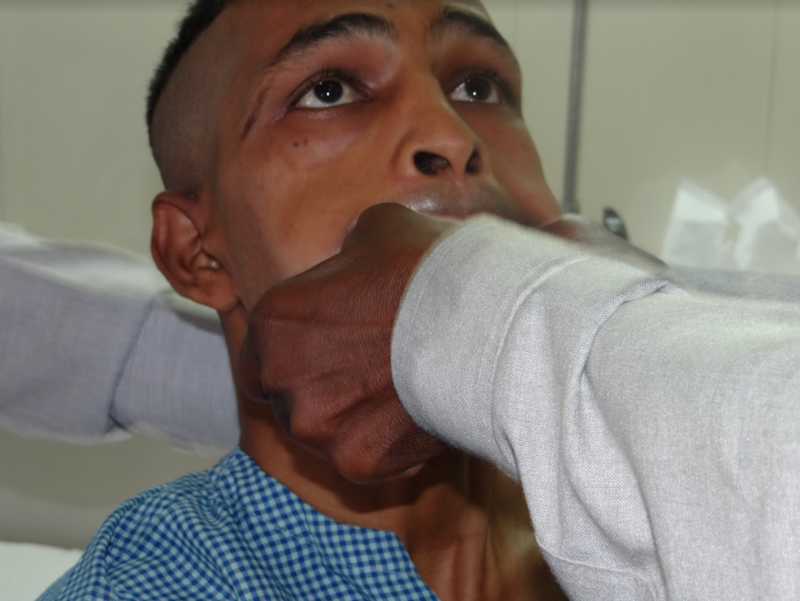 On removal of the belt his lower jaw opened and was unable to close on his own (pic 6). 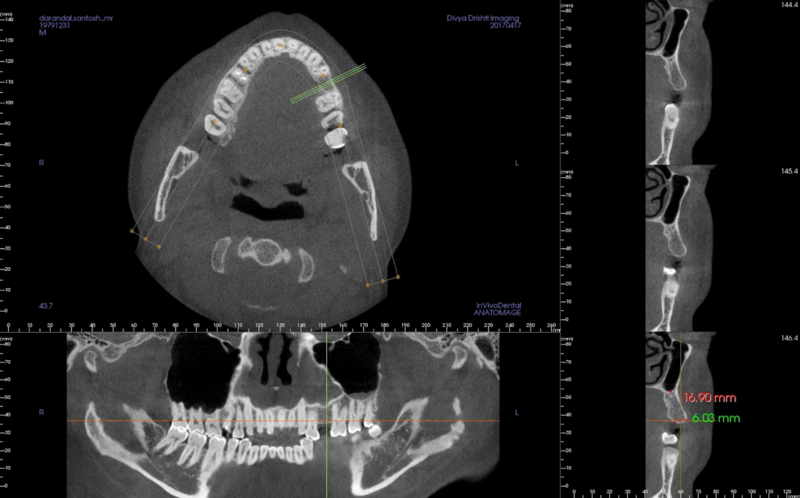 The lower jaw had to be manipulated to force close his mouth (pic 7). 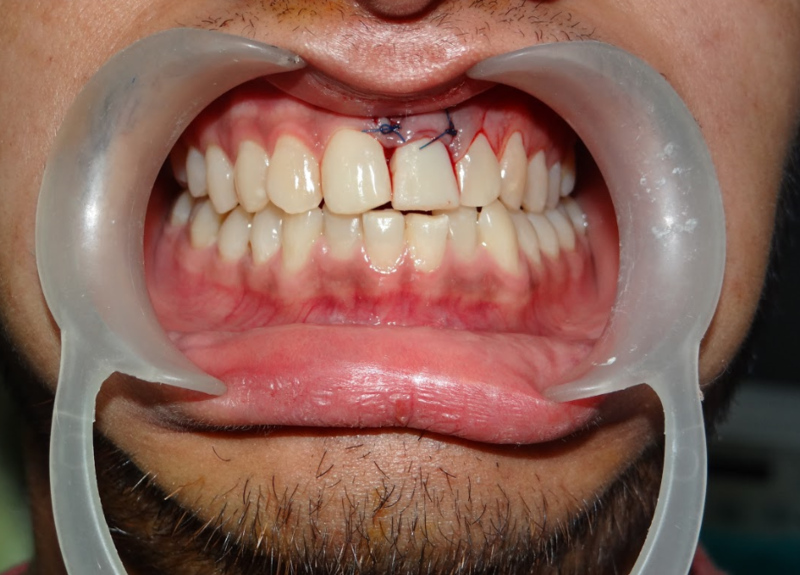 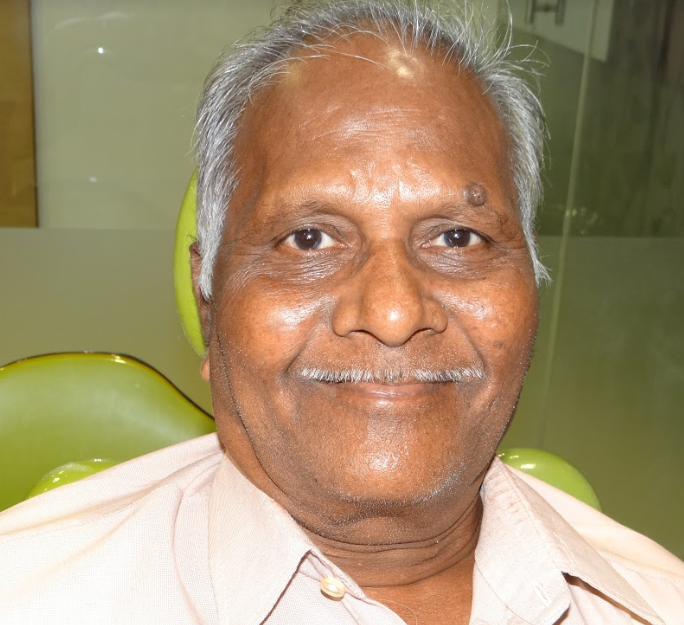 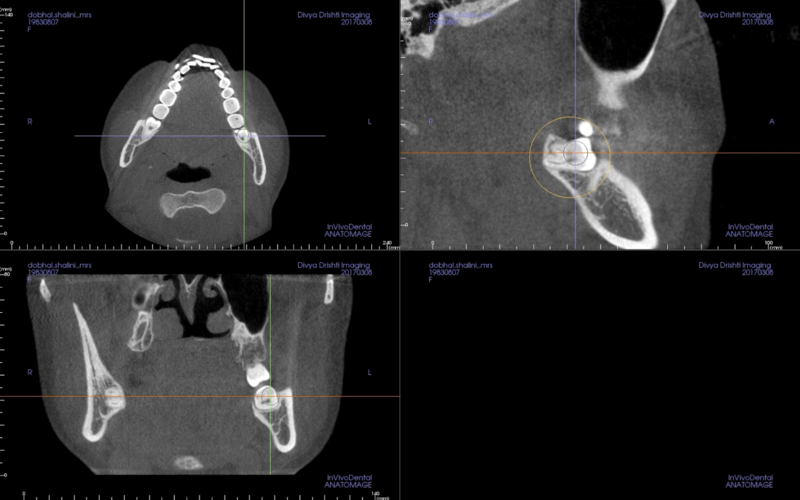 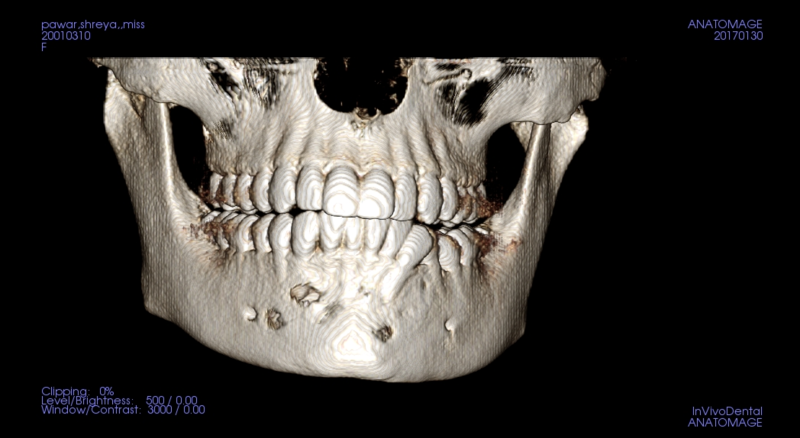 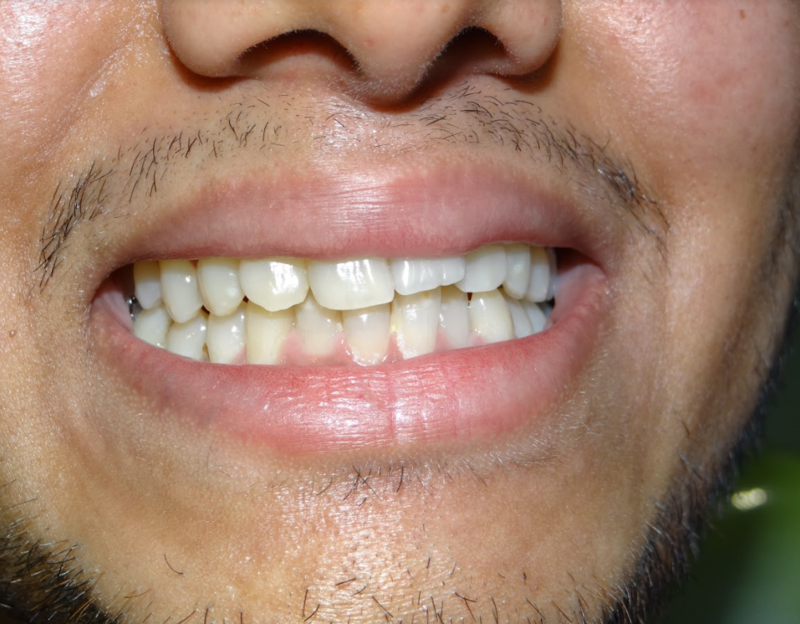 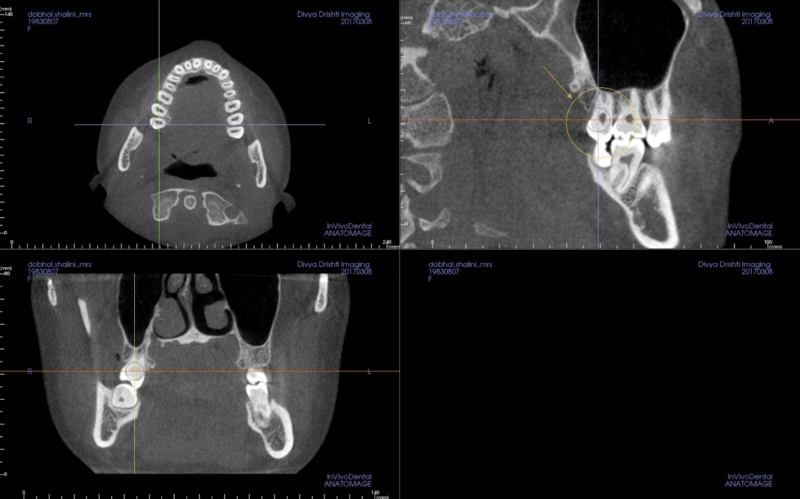 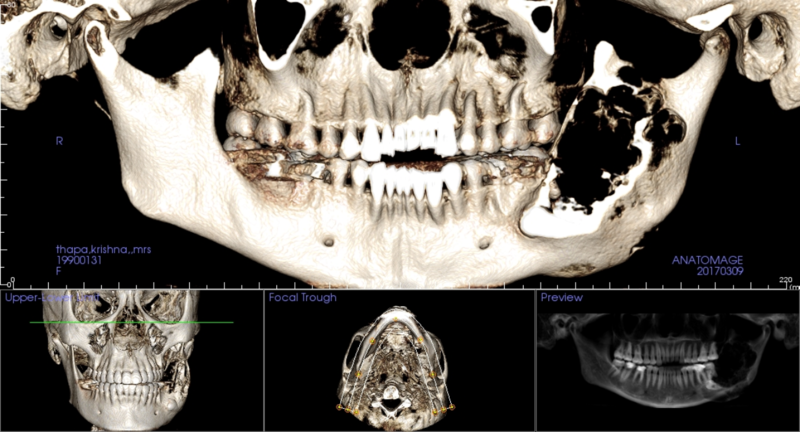 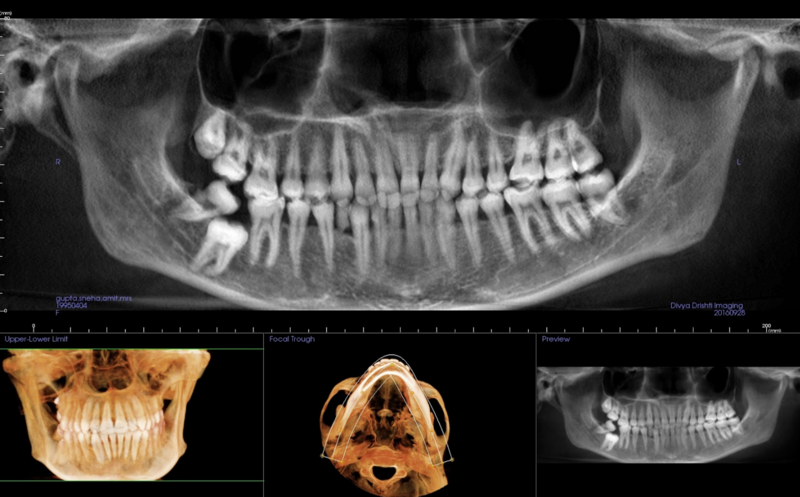 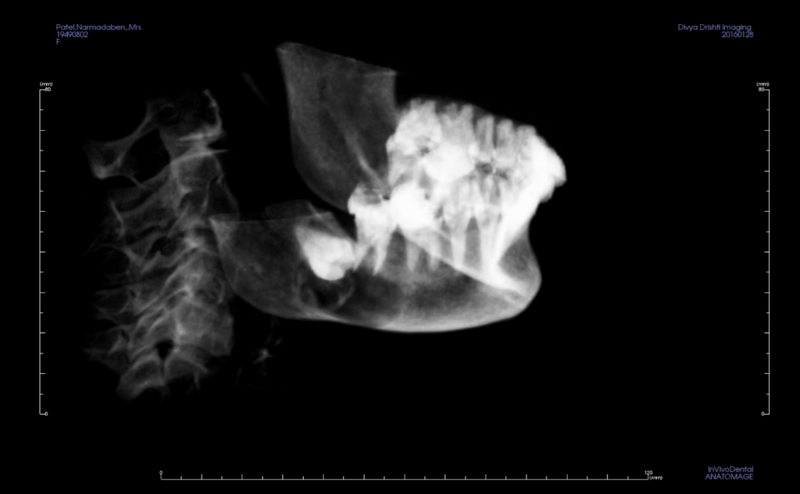 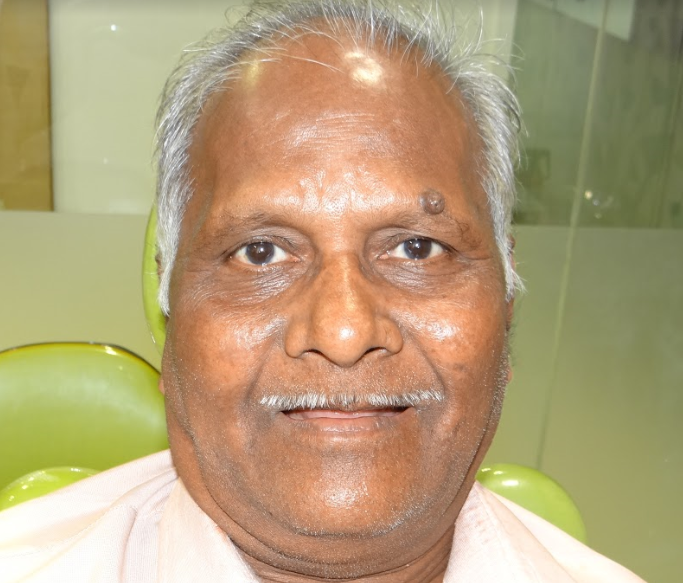 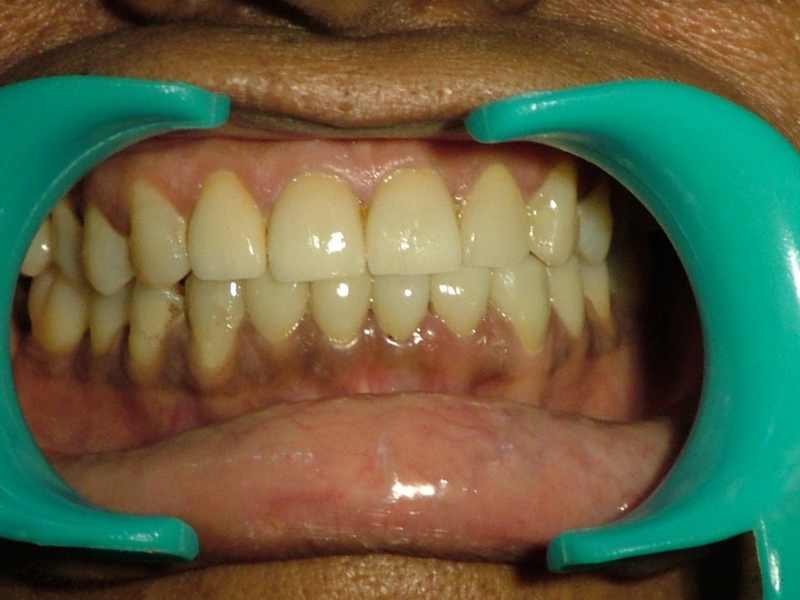 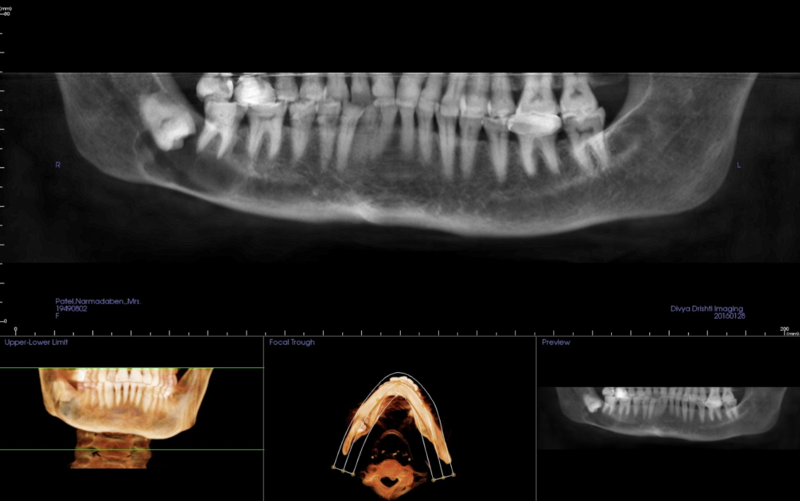 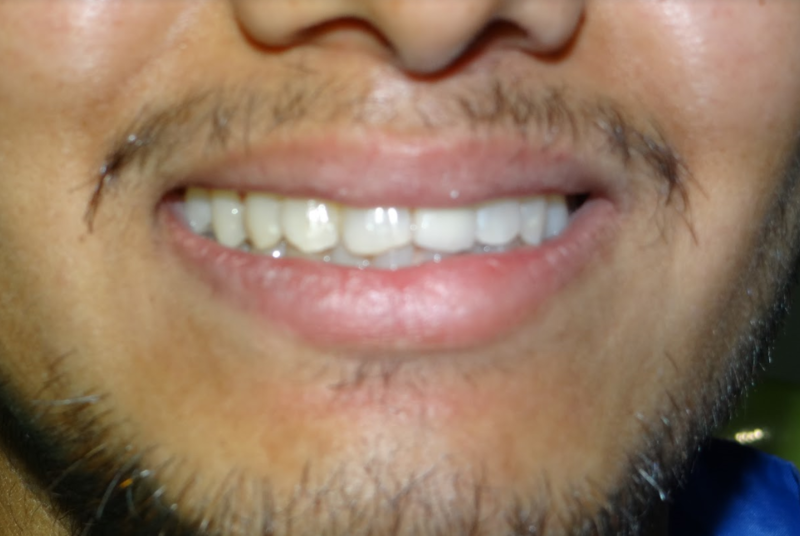 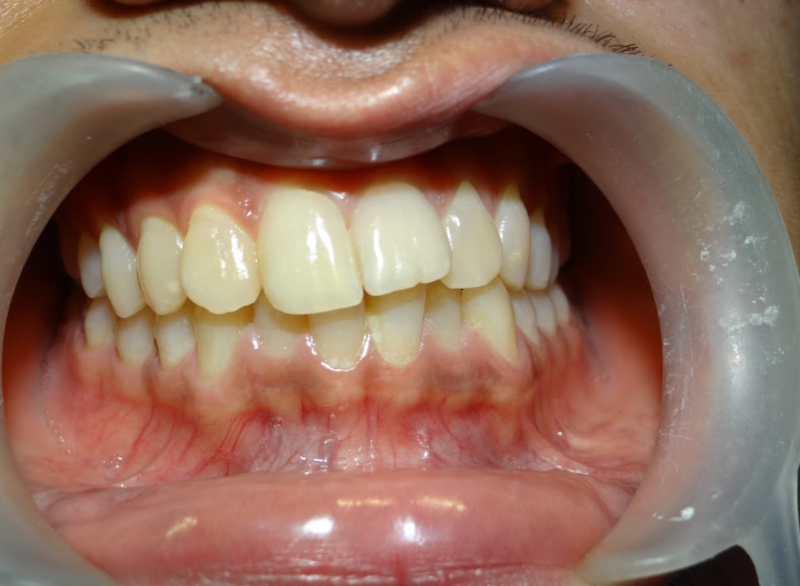 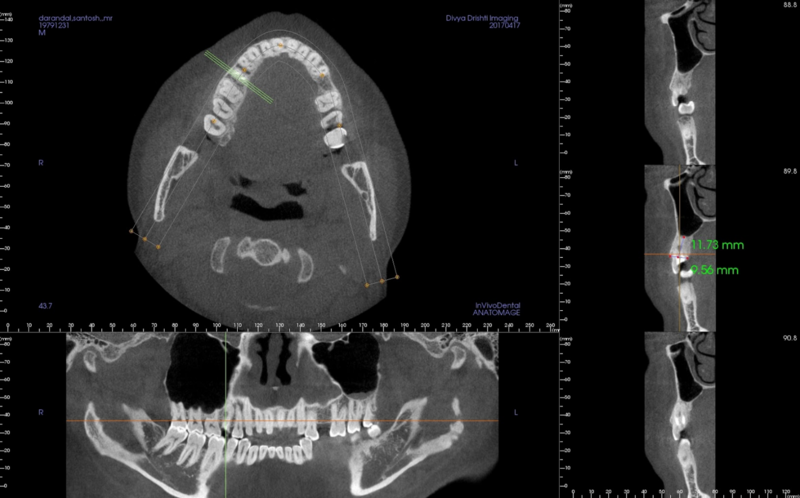 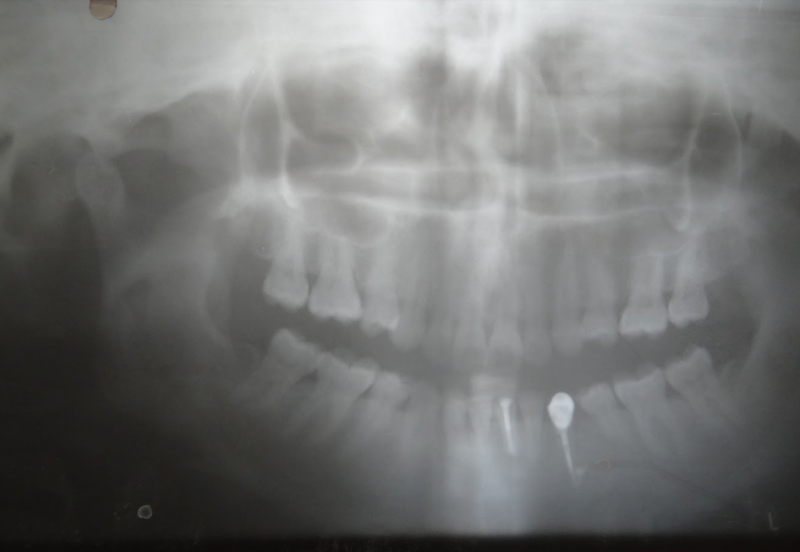 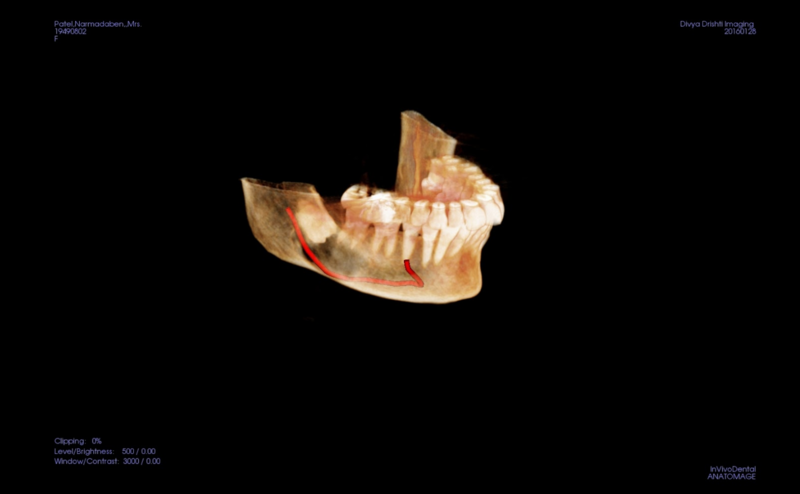 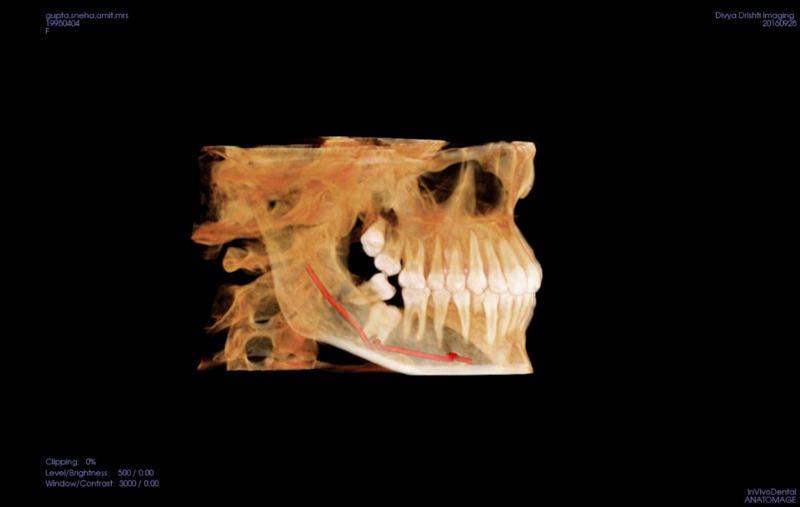 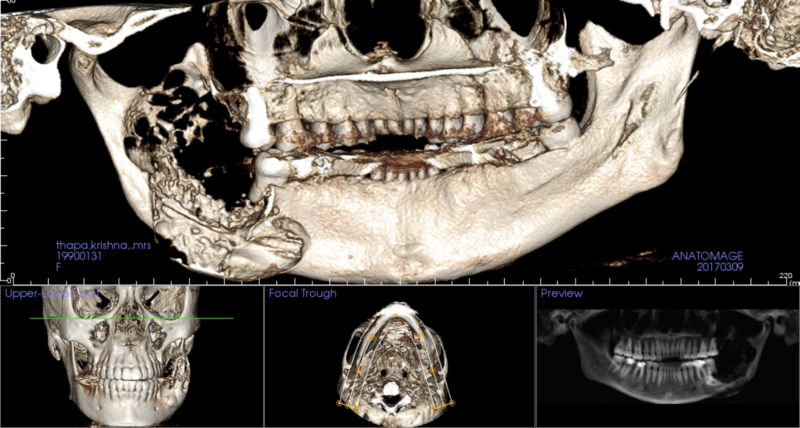 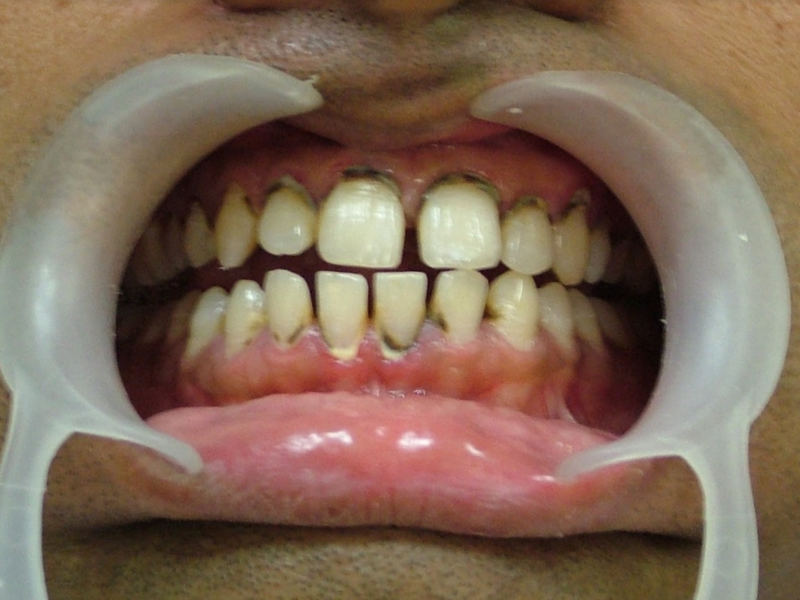 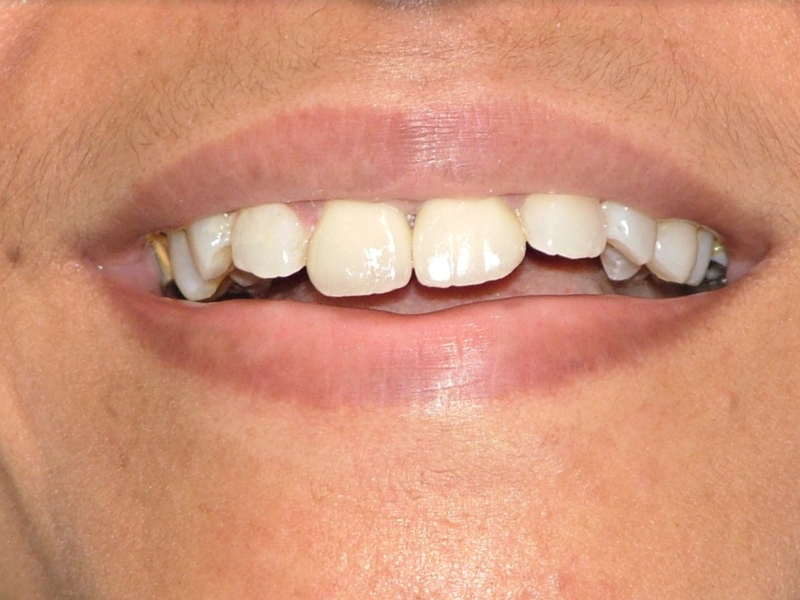 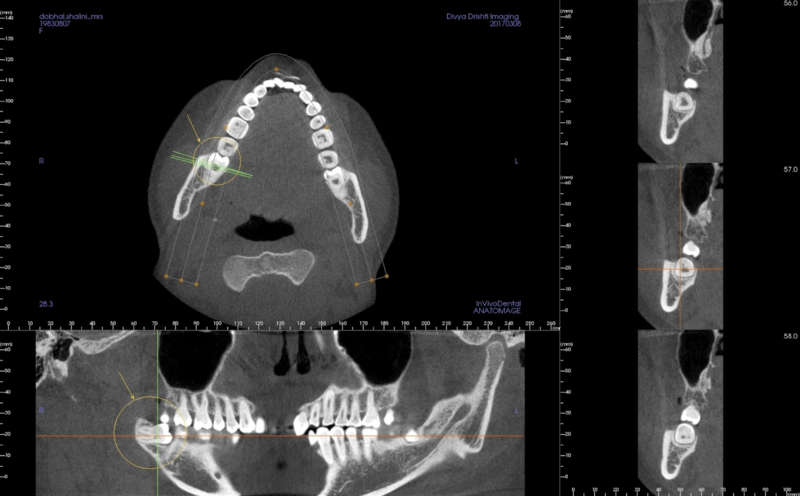 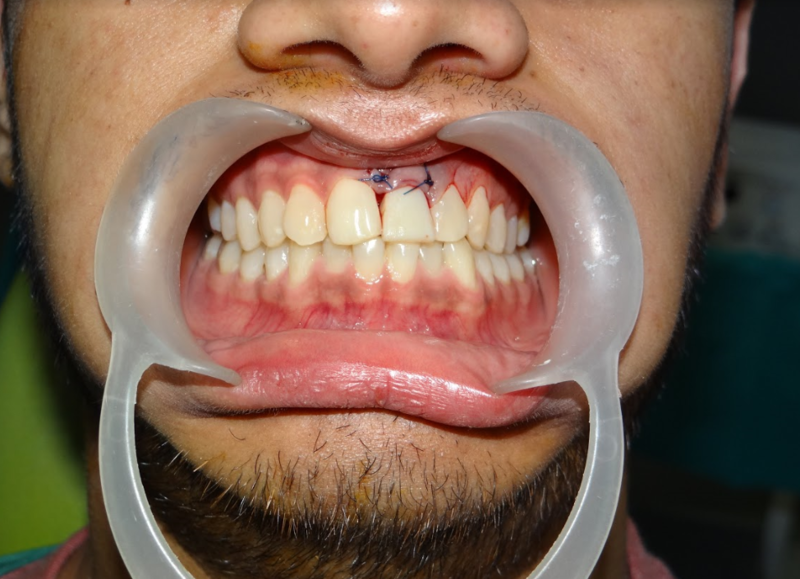 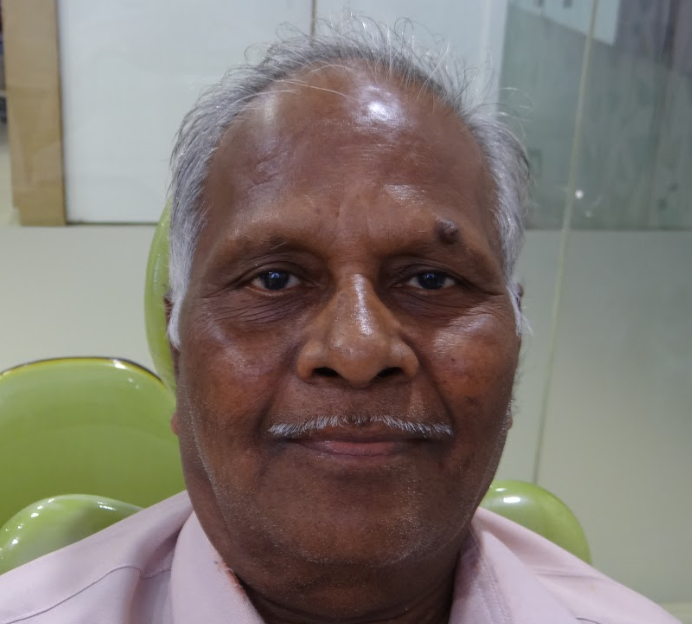 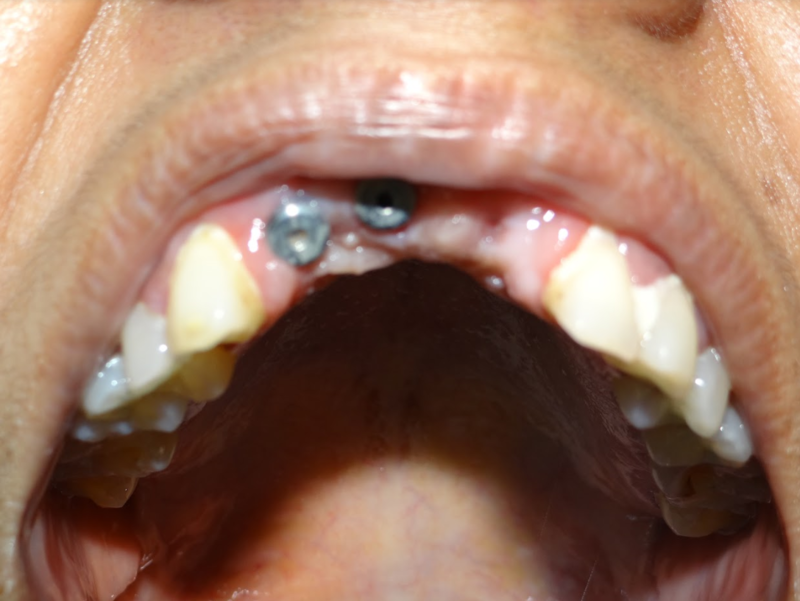 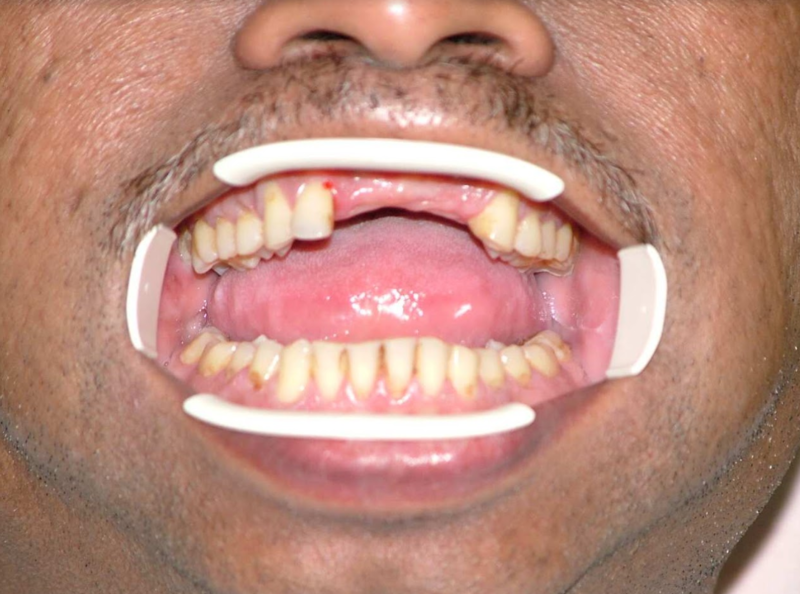 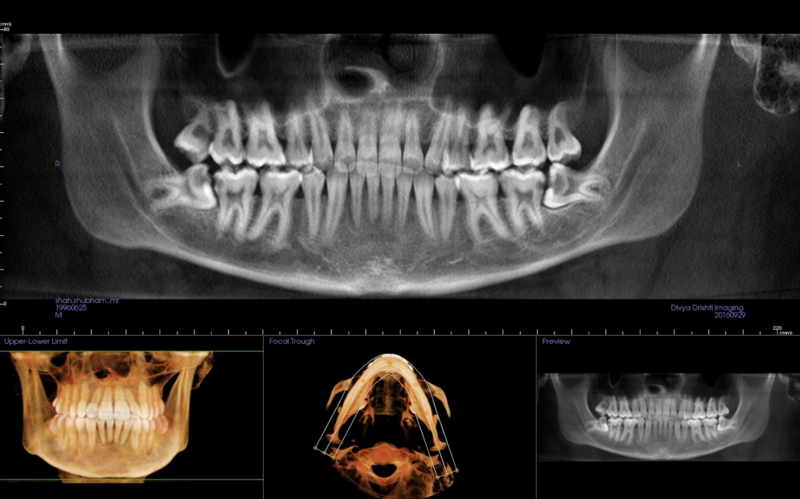 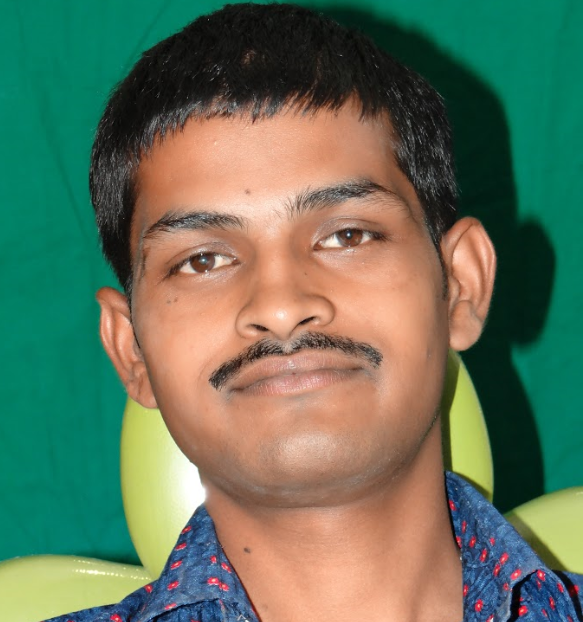 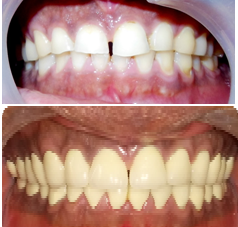 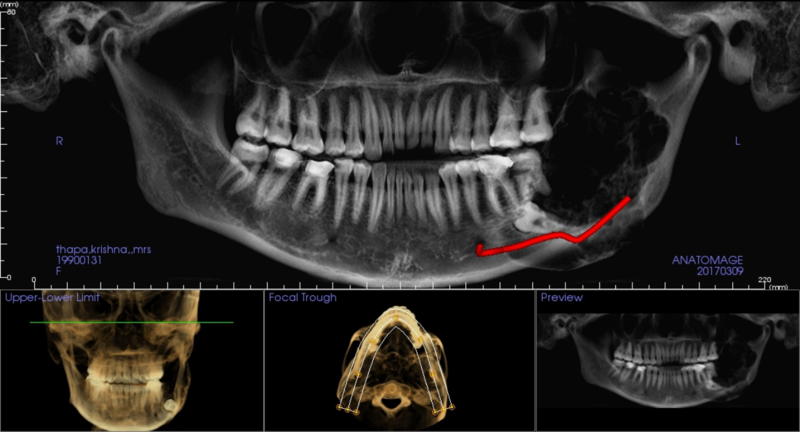 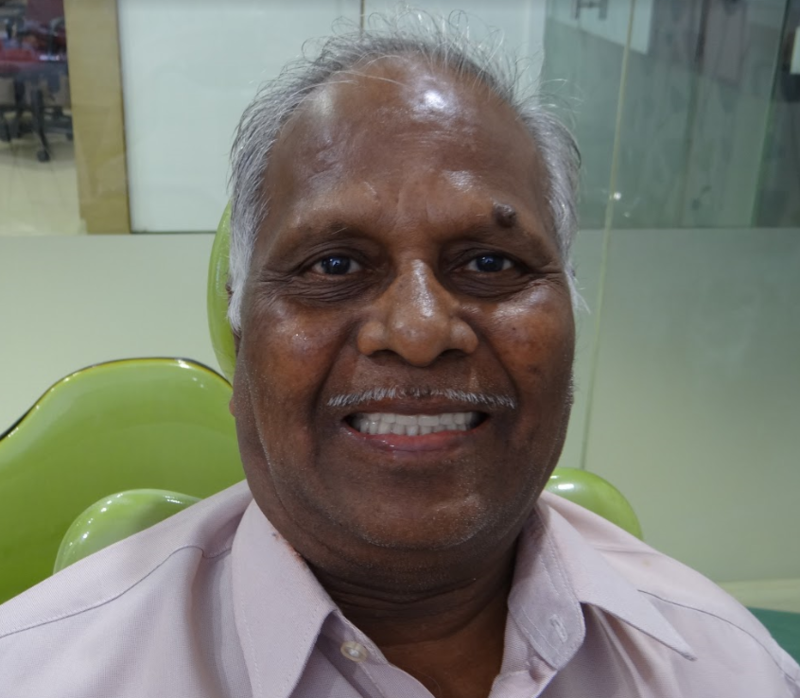 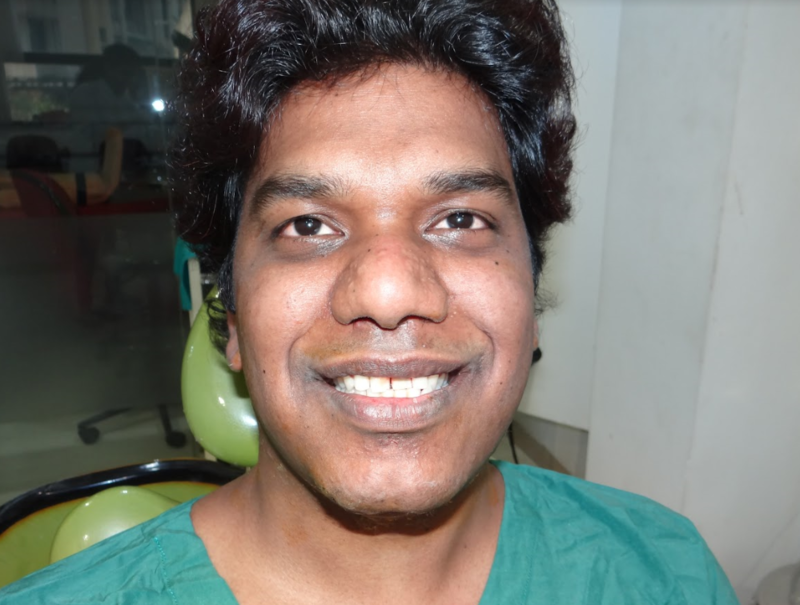 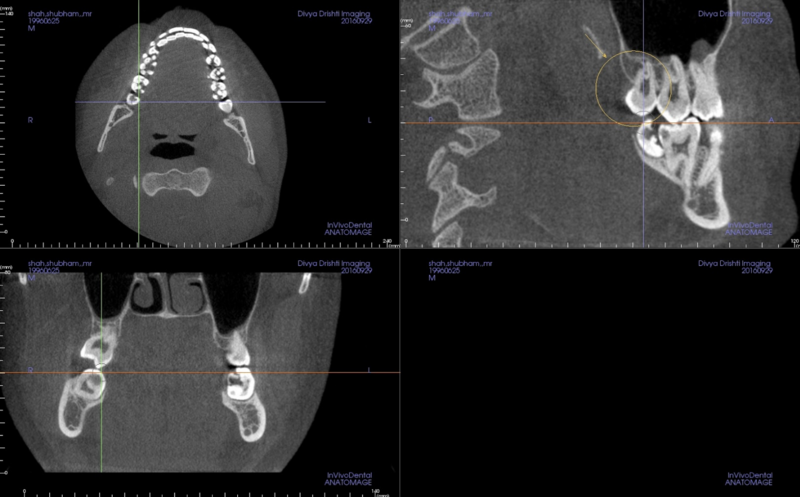 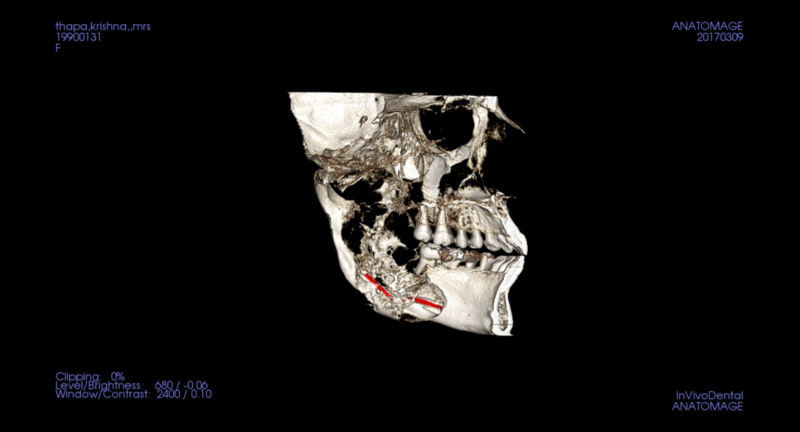 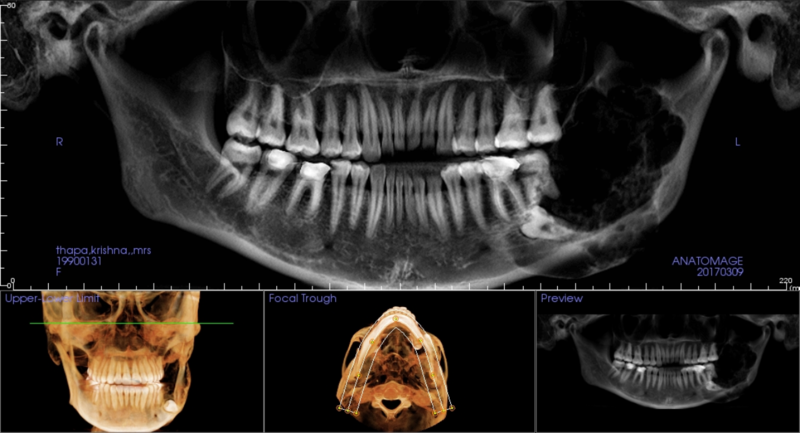 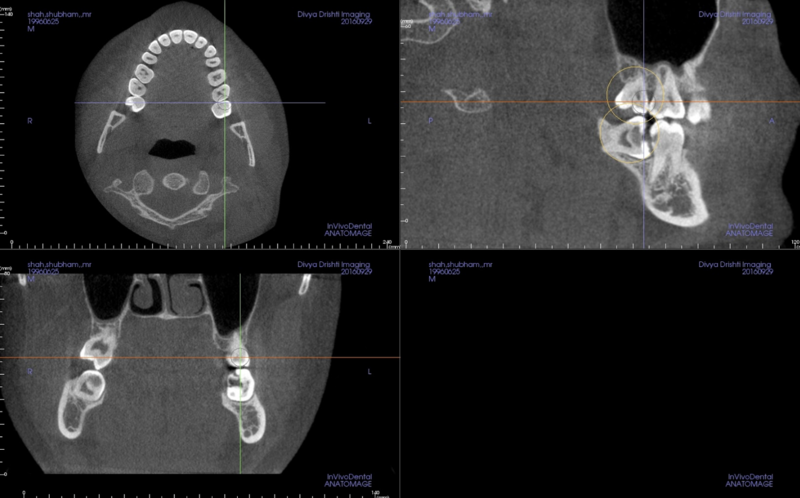 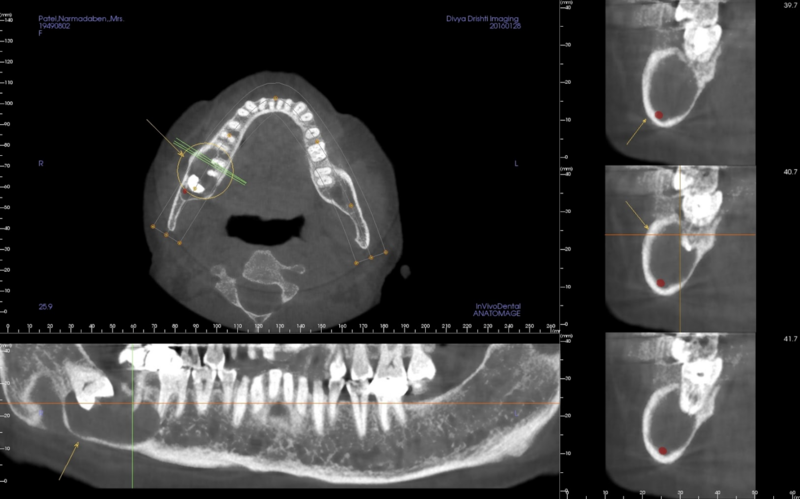 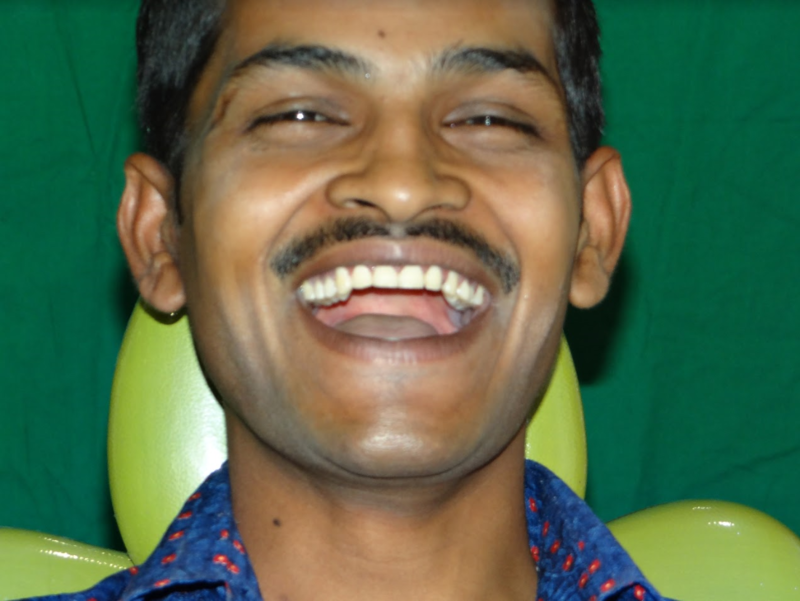 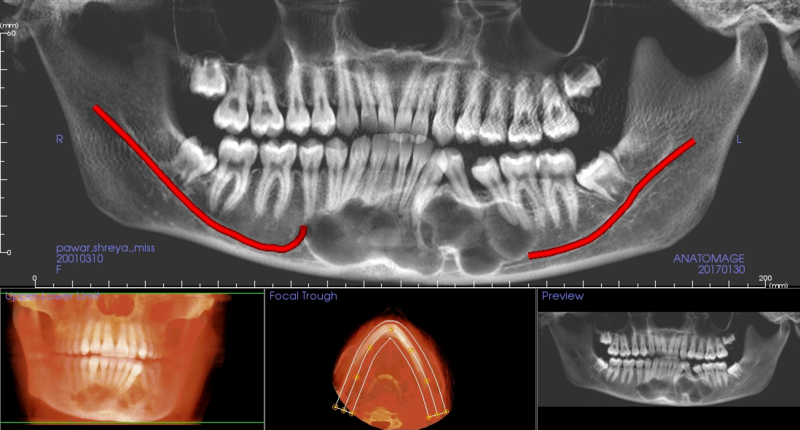 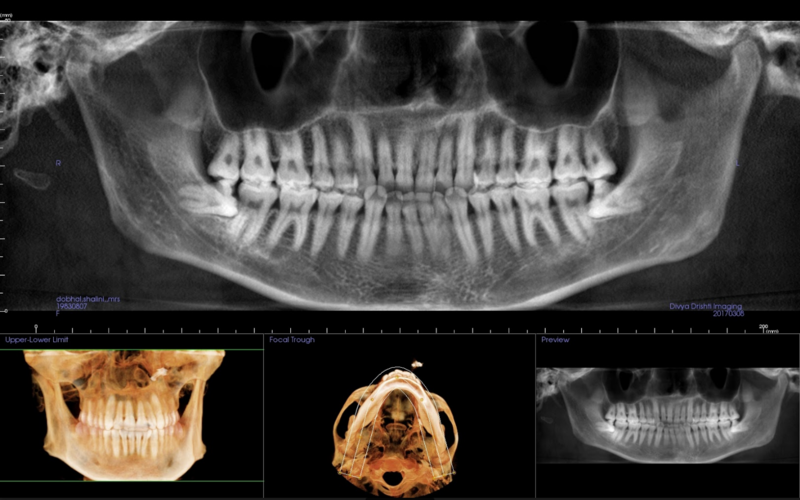 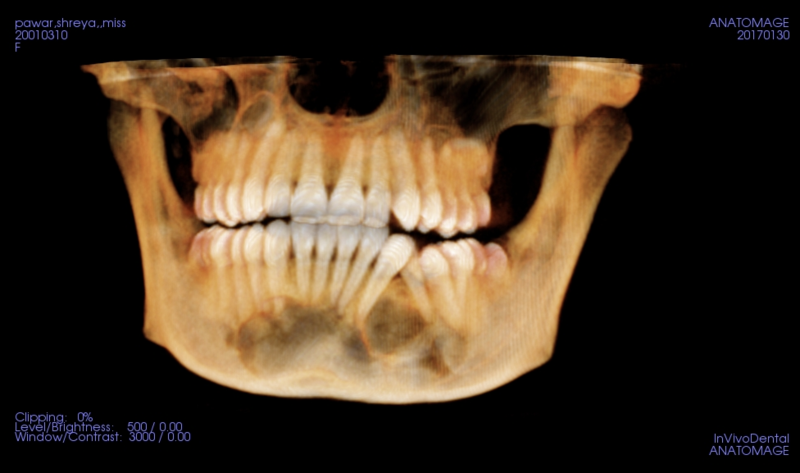 On his CBCT exam it was noticed that his lower jaw moved too forward and was unable to close. 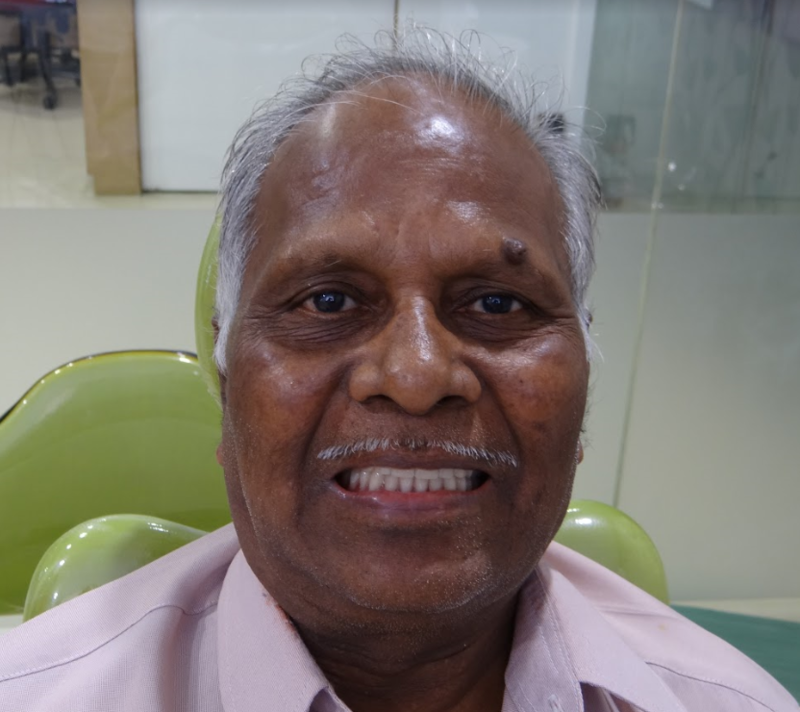 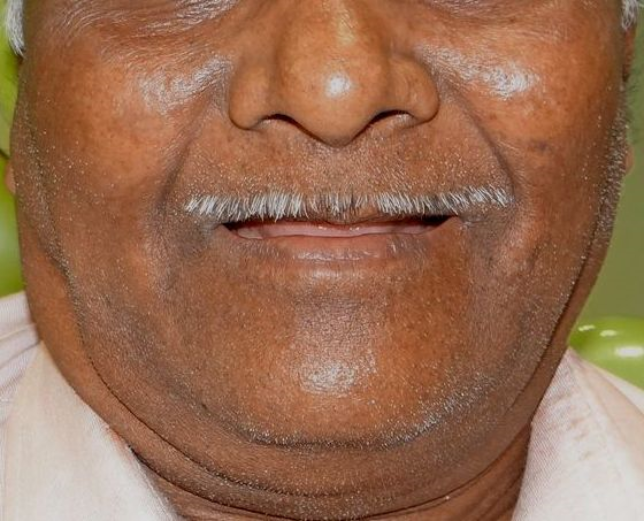 He was advised and surgery was performed to cut and remove the condyle of lower jaw post operative (pic 6 and 7, incision and closure). 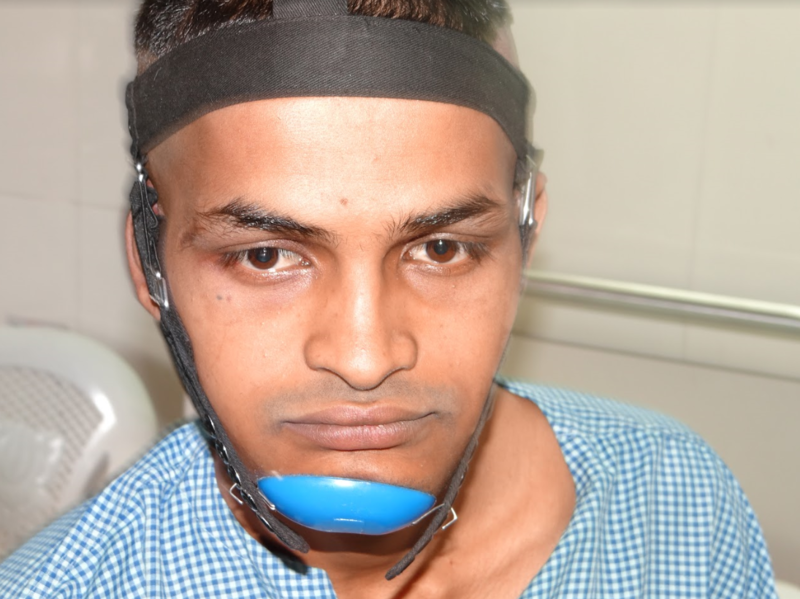 His mouth was closed with wires for one week (pic 8). 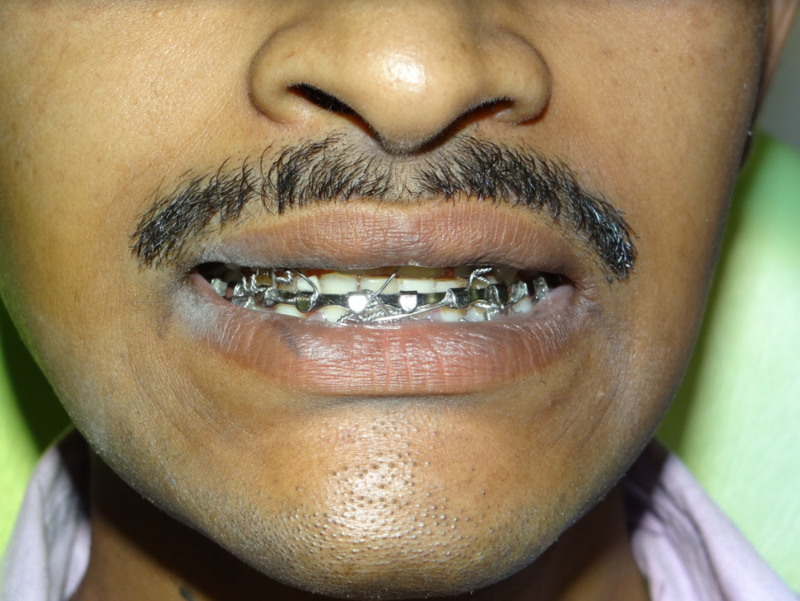 Later he was given elastics for 2 weeks (pic8 and 5). 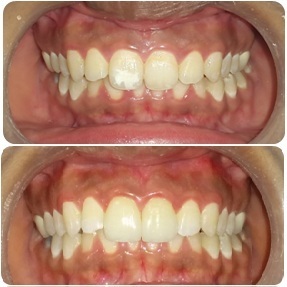 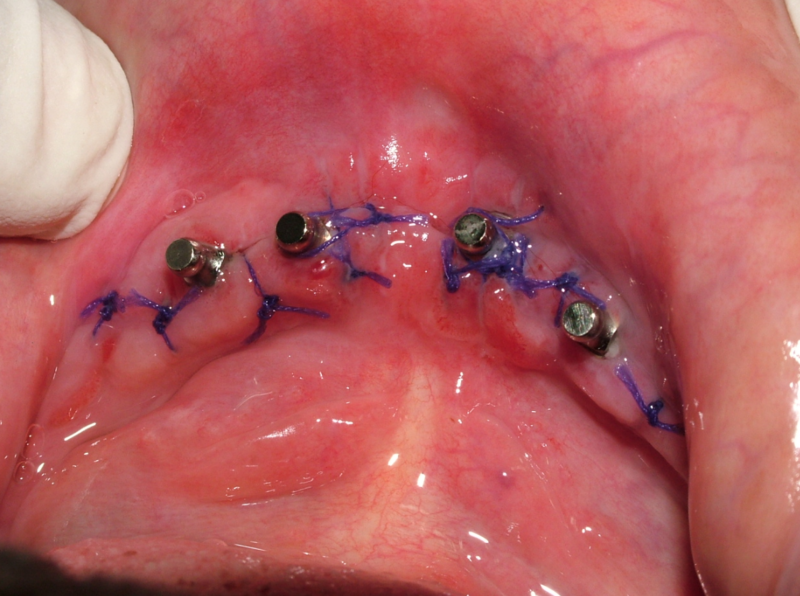 All wires and elastics were removed at the end of three weeks post surgery (pic 1,2,3,4). 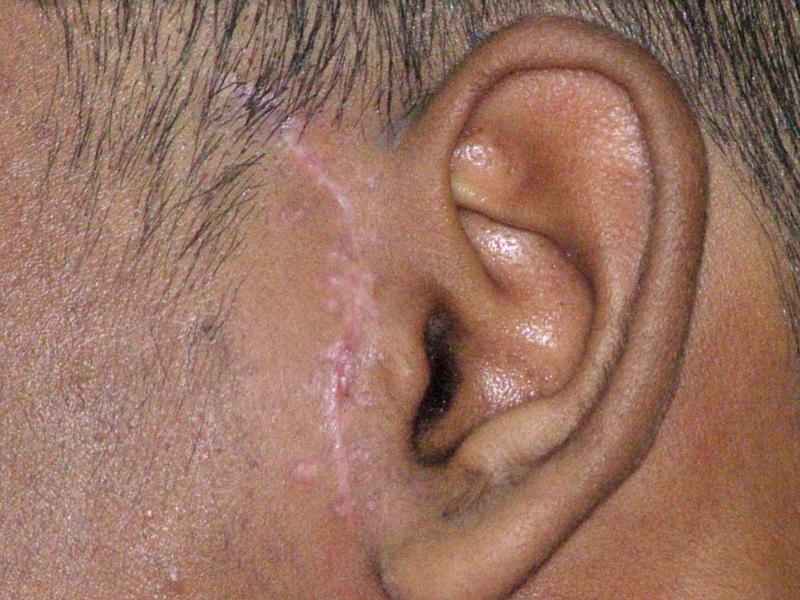 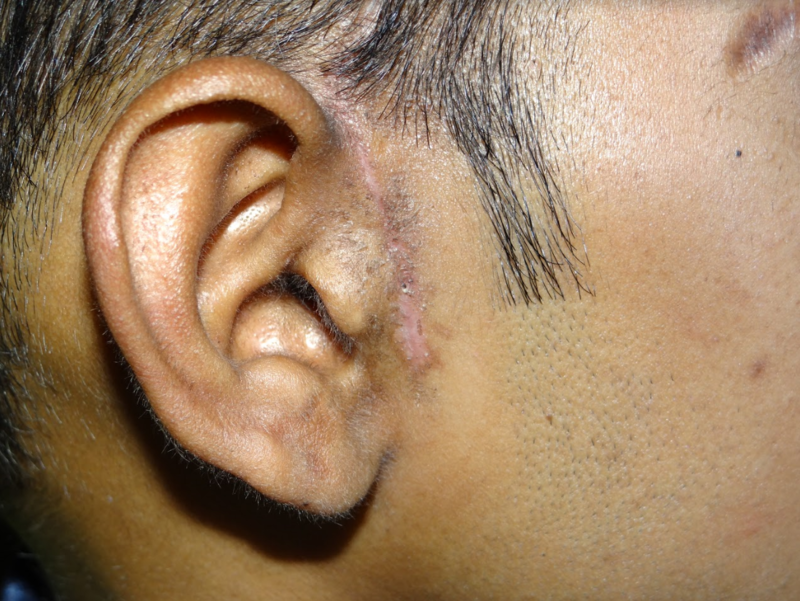 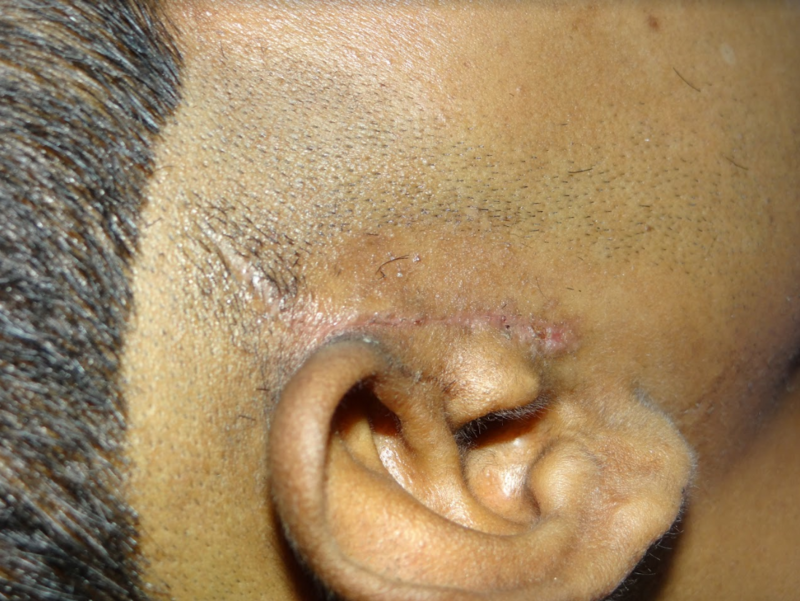 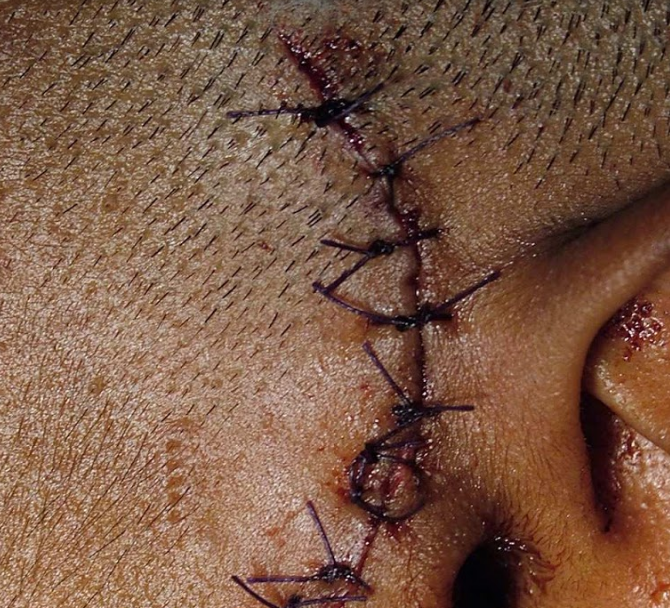 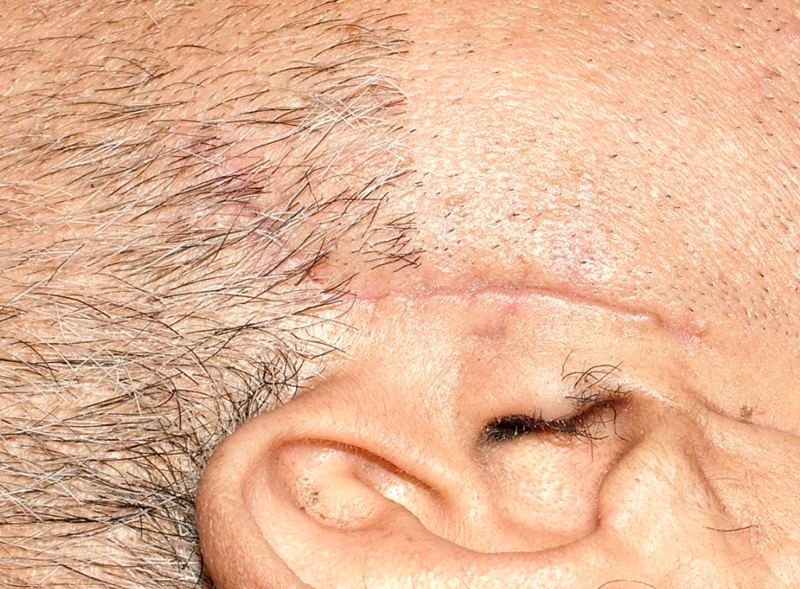 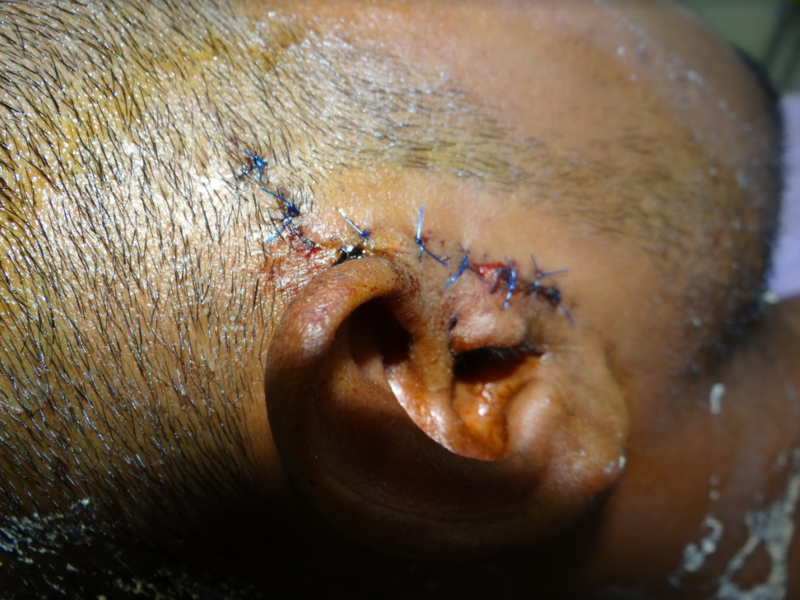 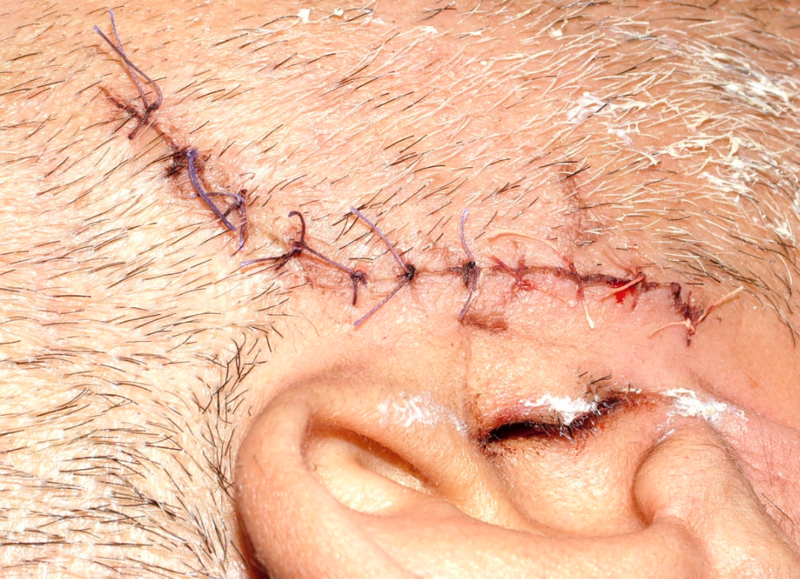 The post operation incision scar very insignificant is seen (pic 4,6).